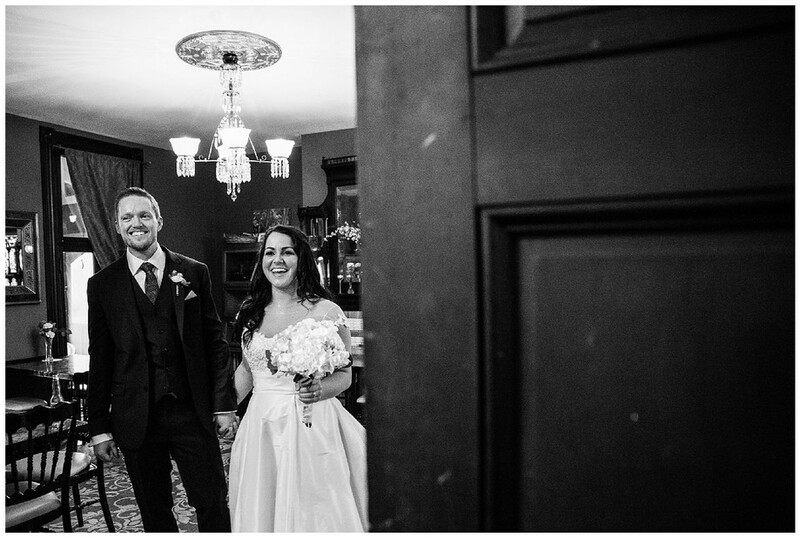 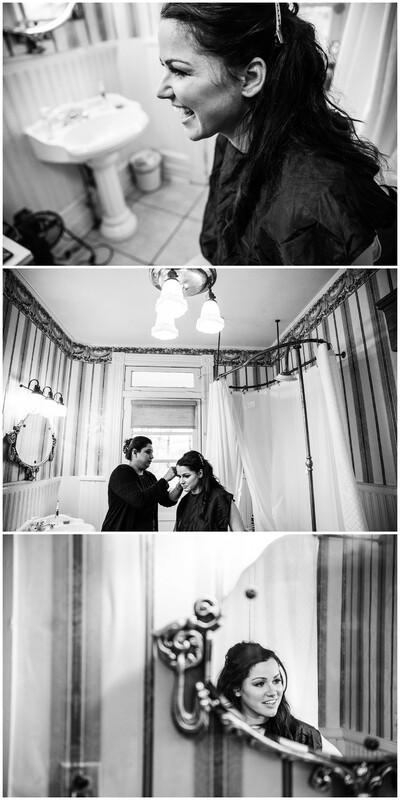 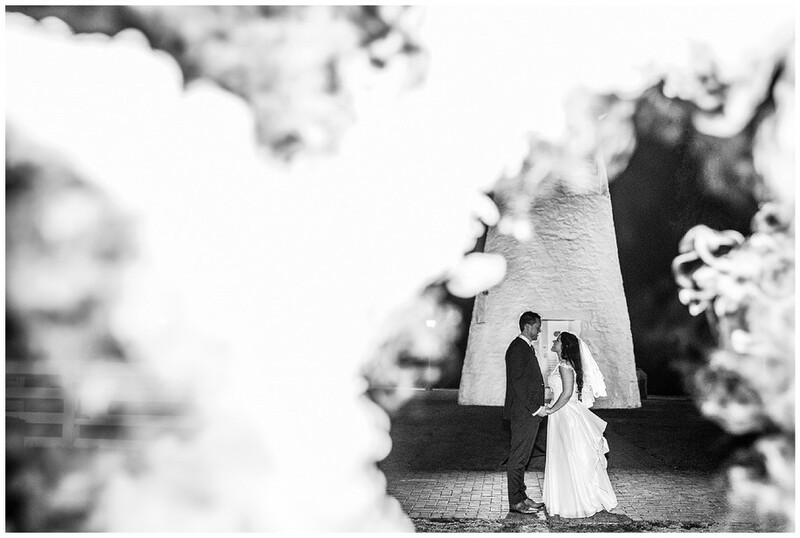 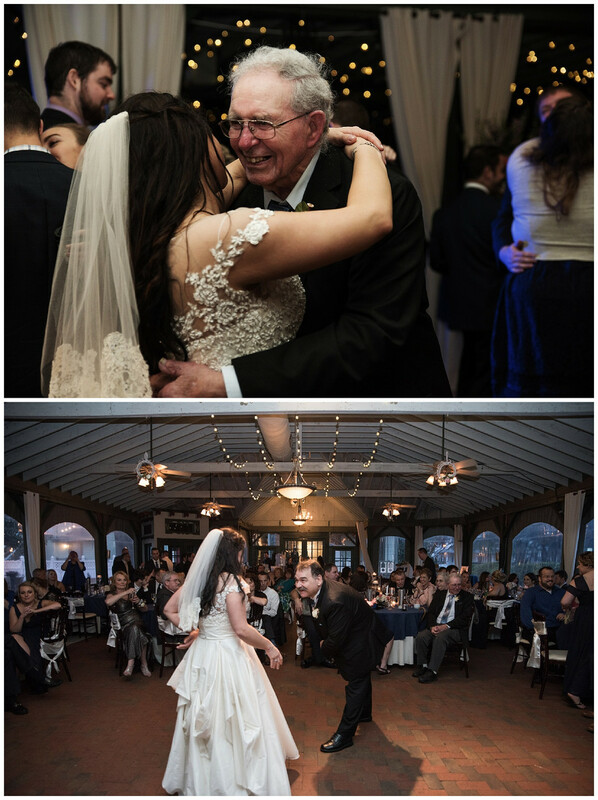 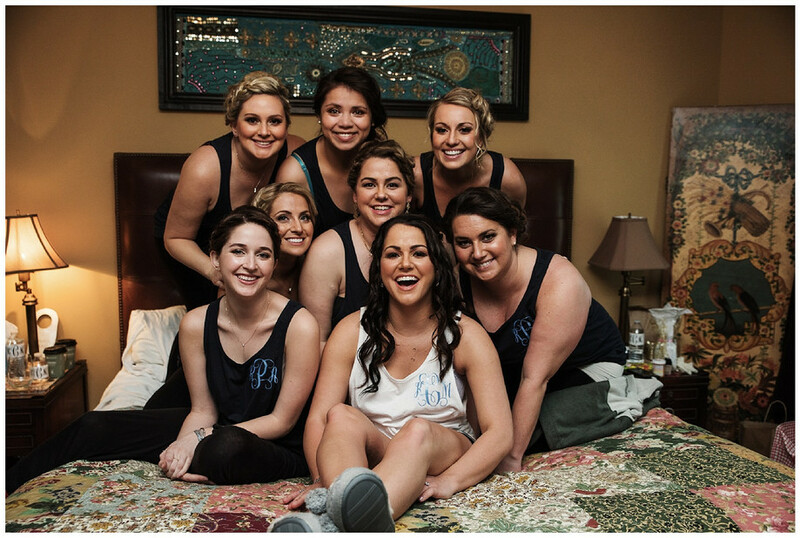 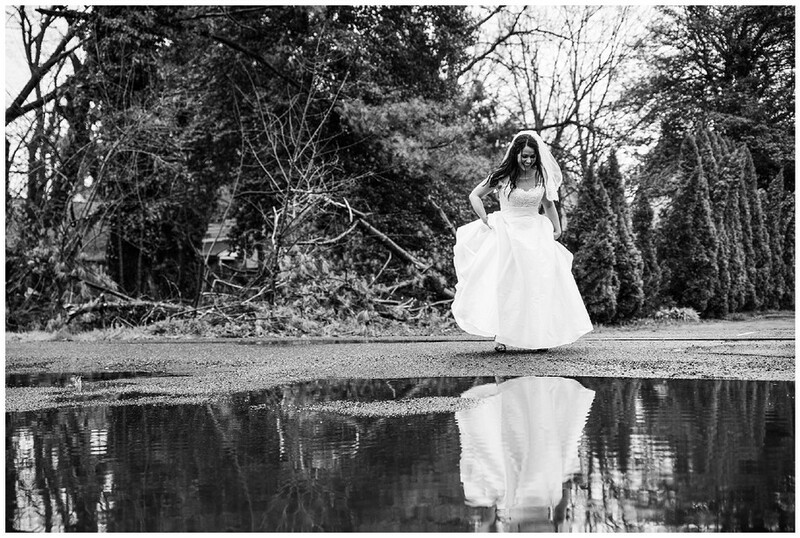 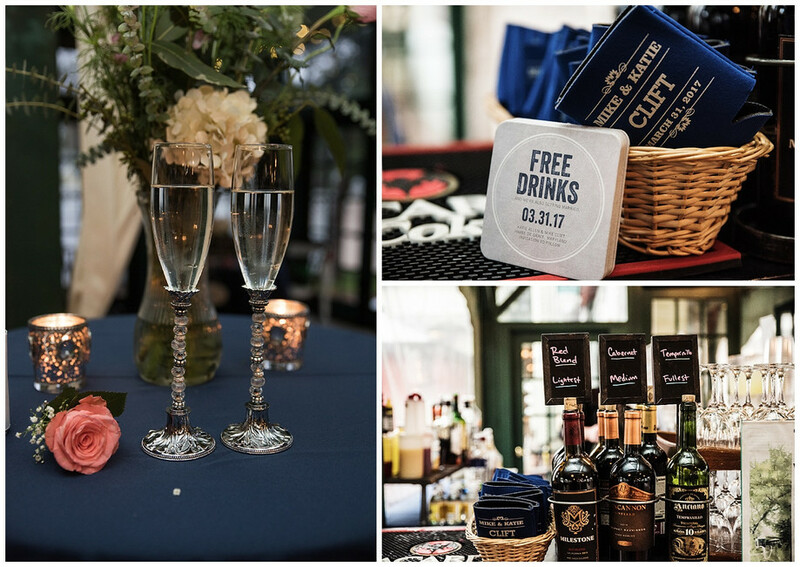 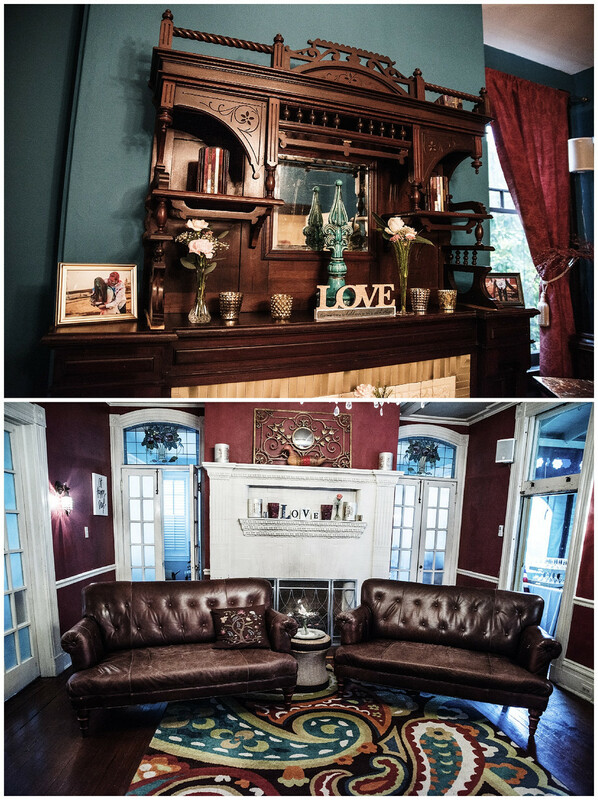 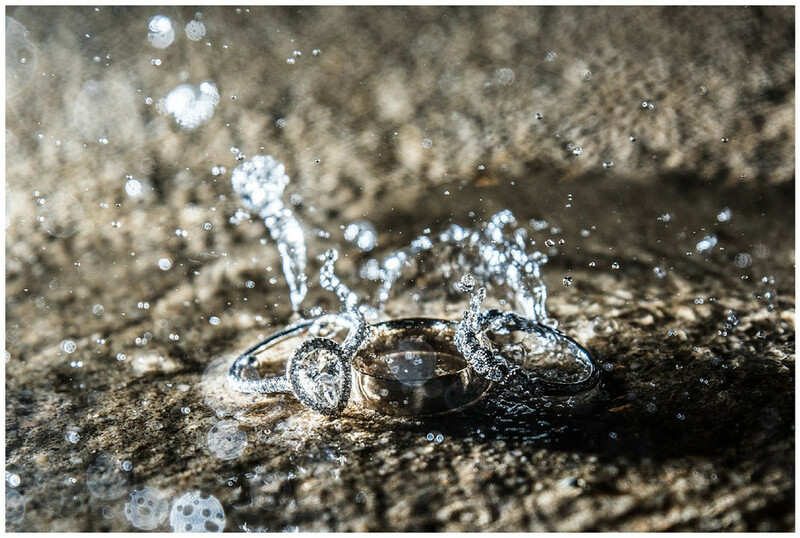 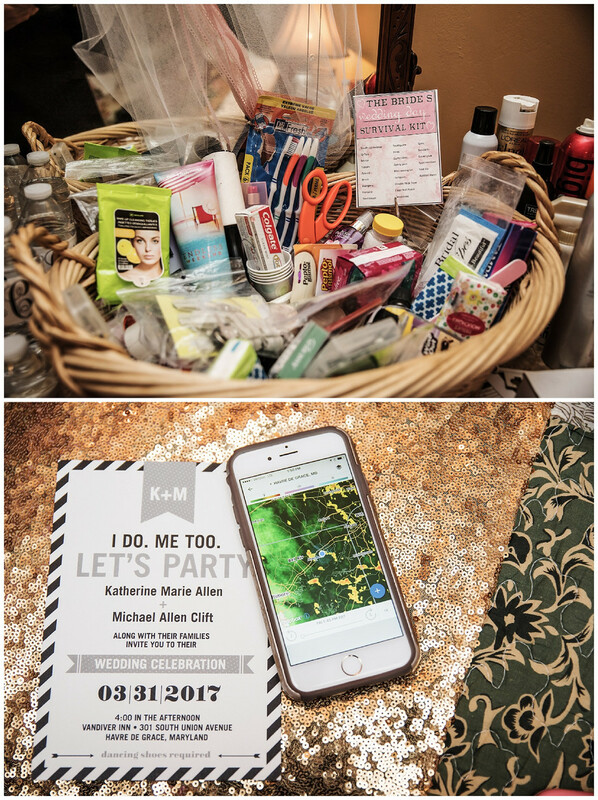 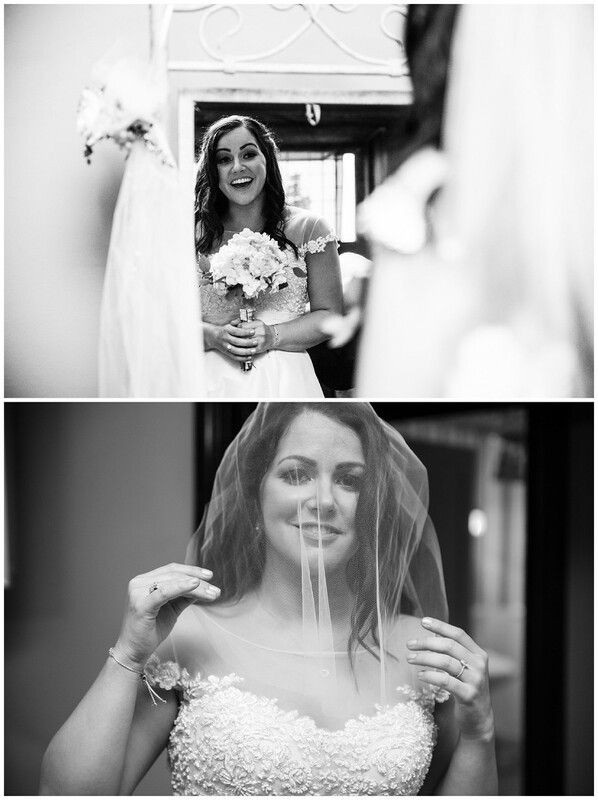 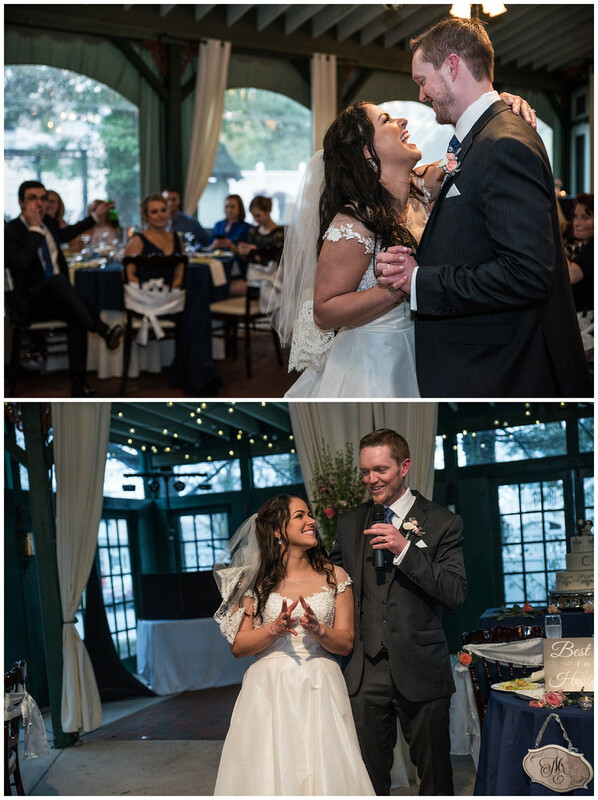 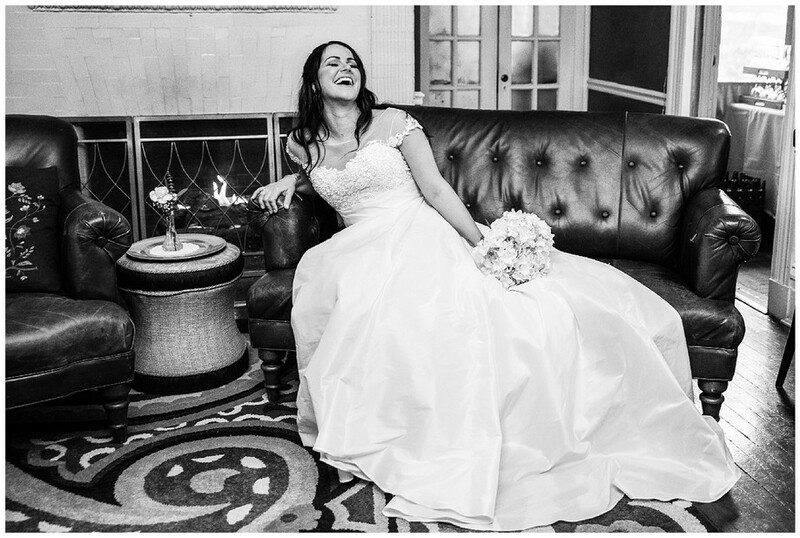 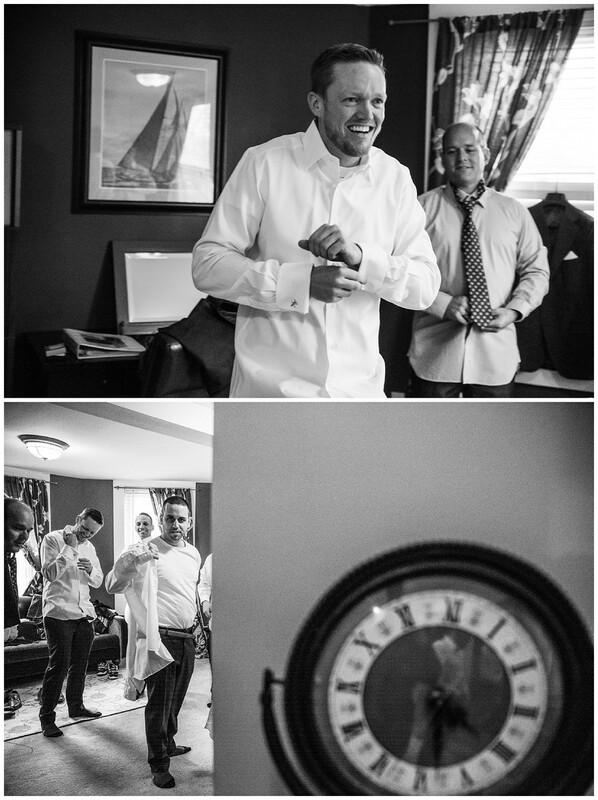 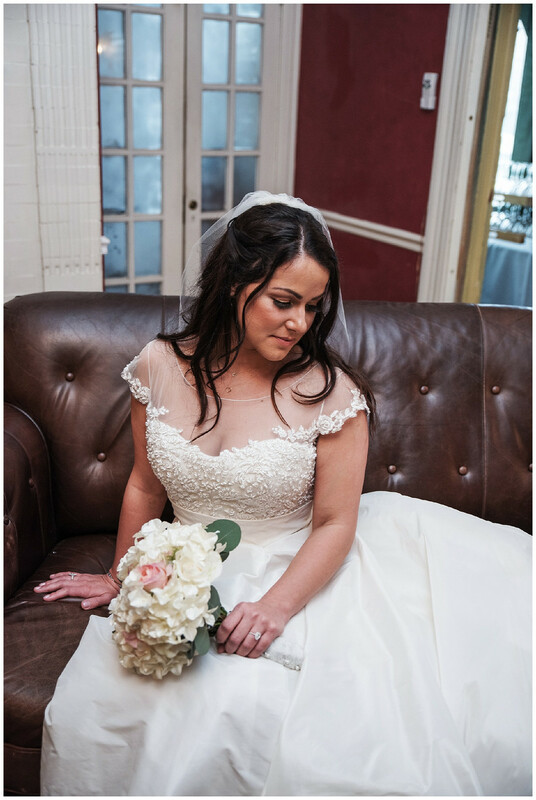 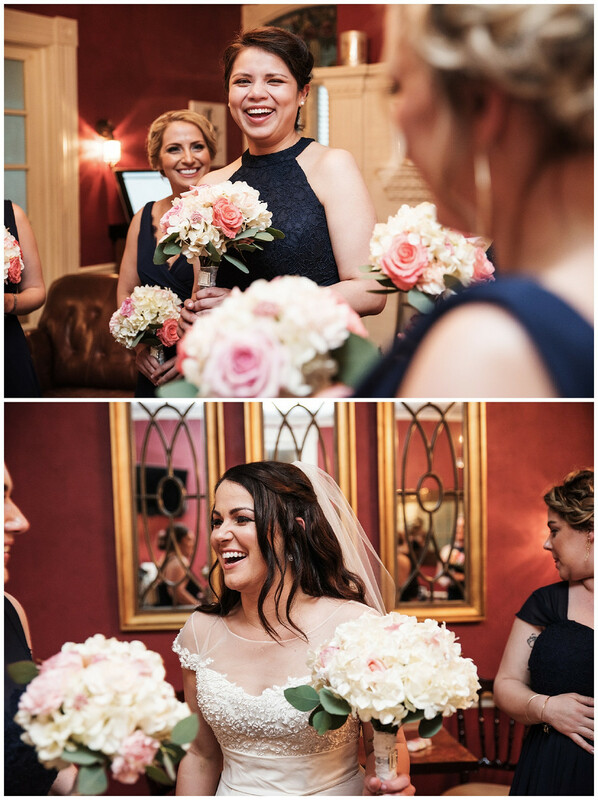 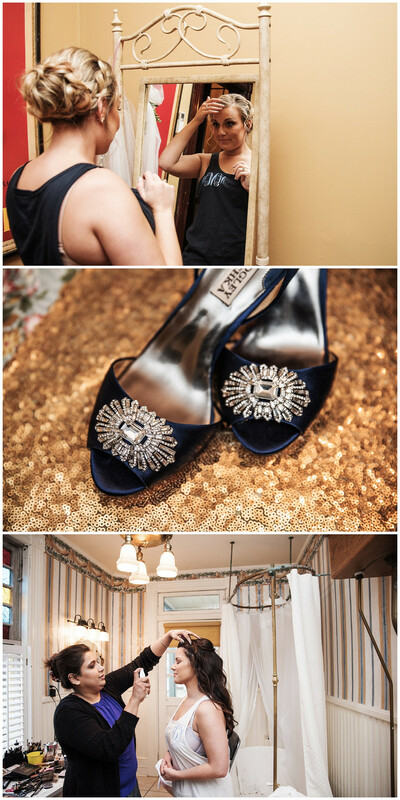 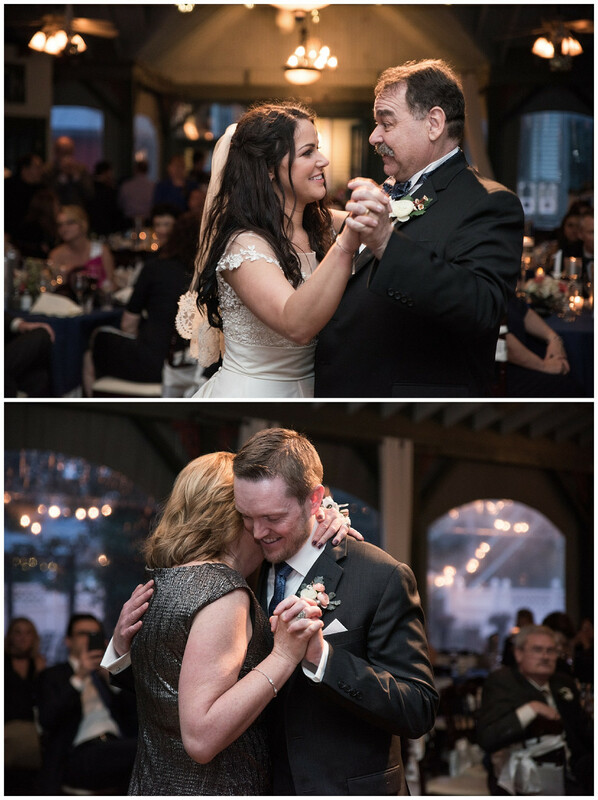 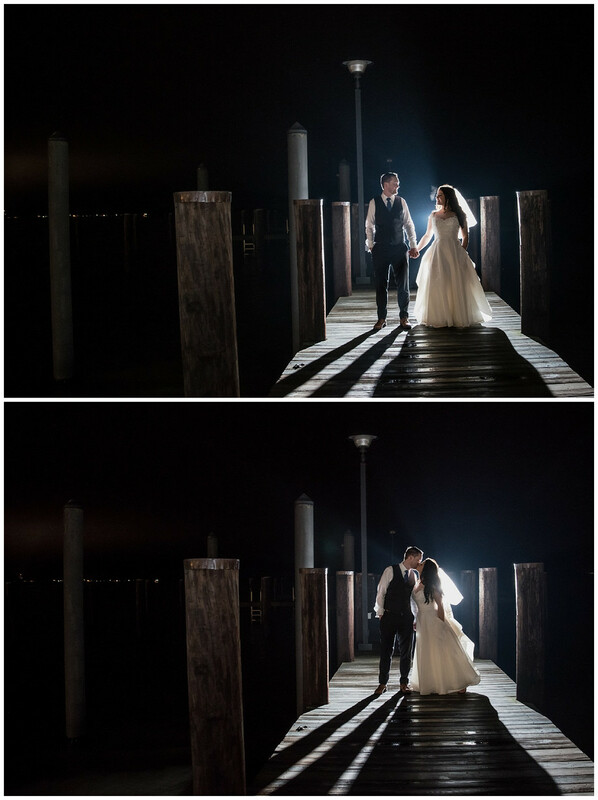 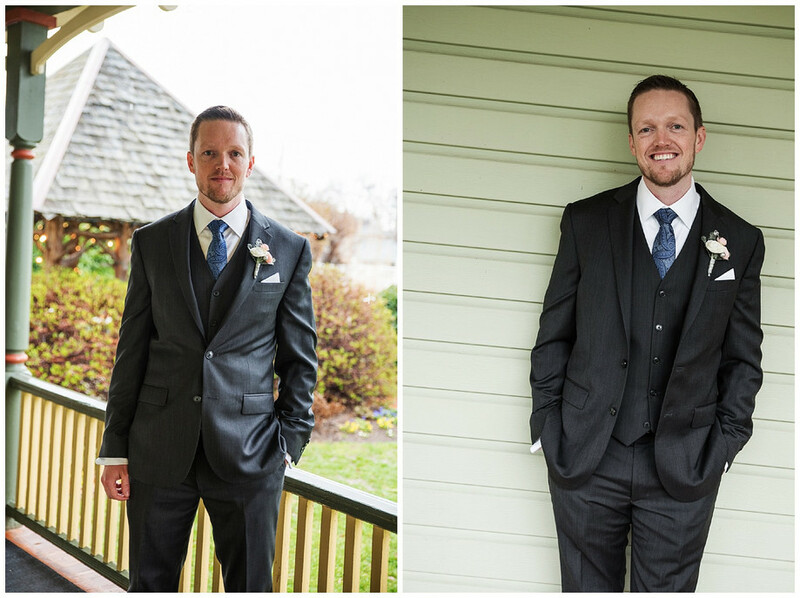 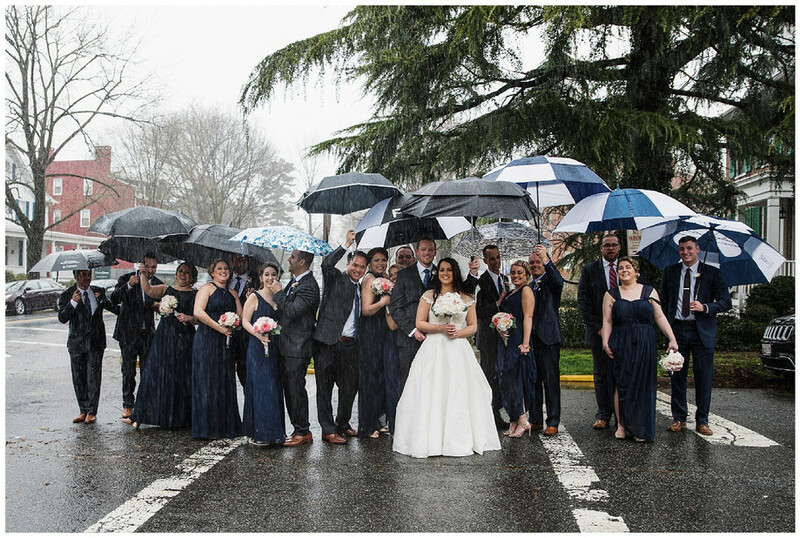 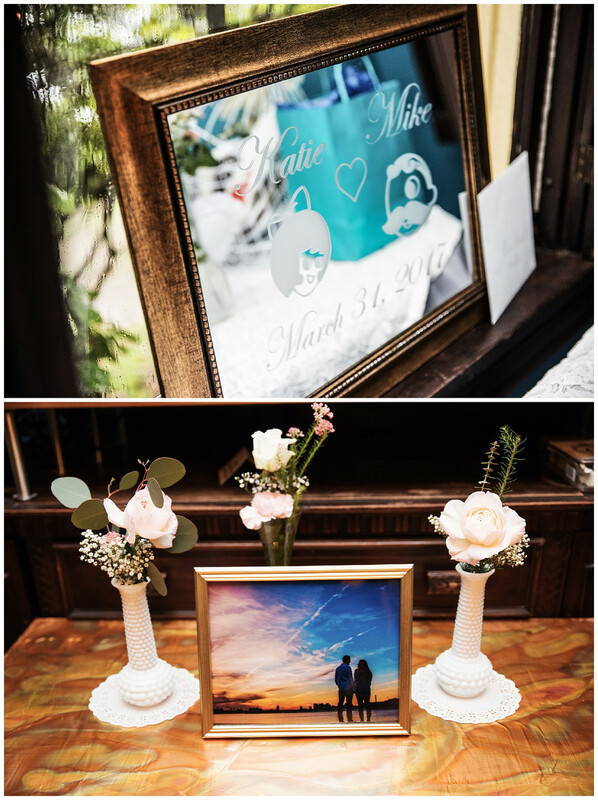 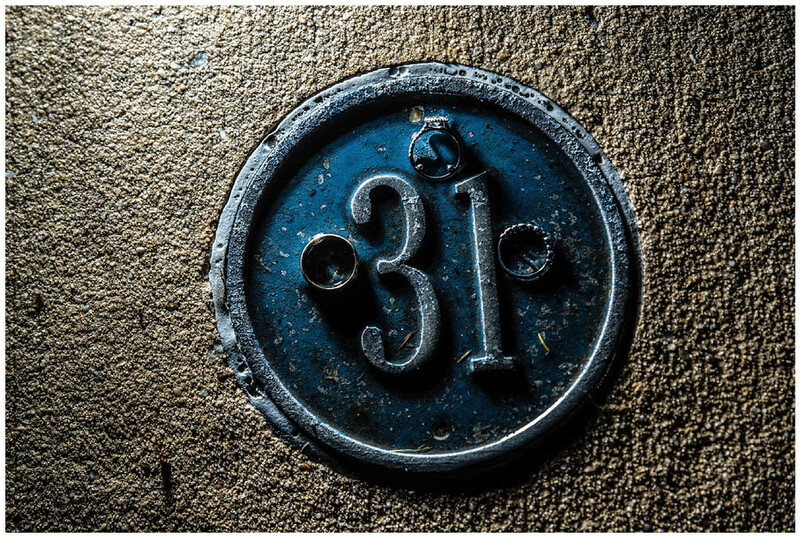 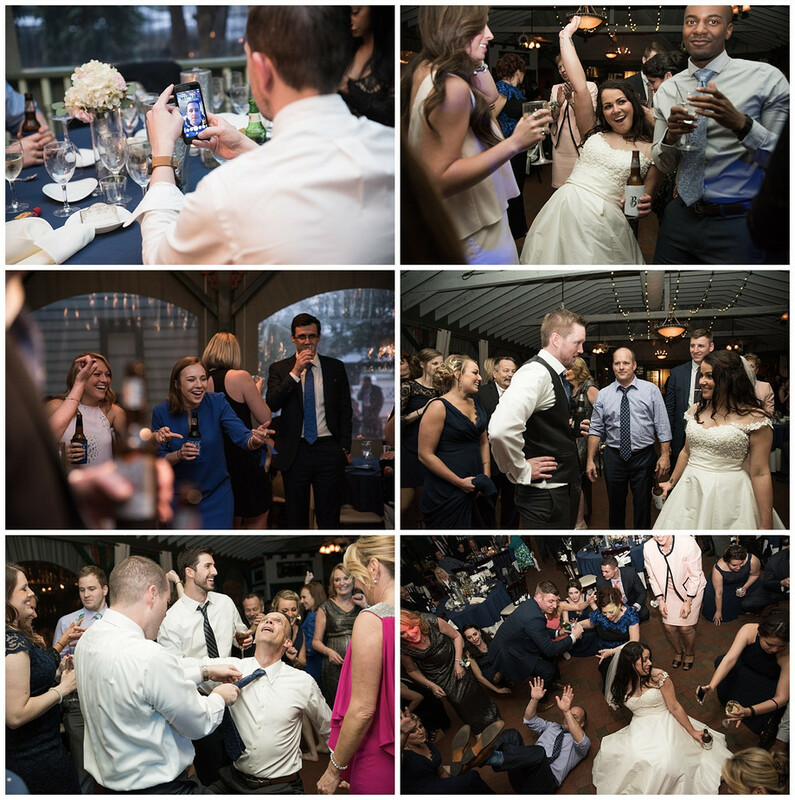 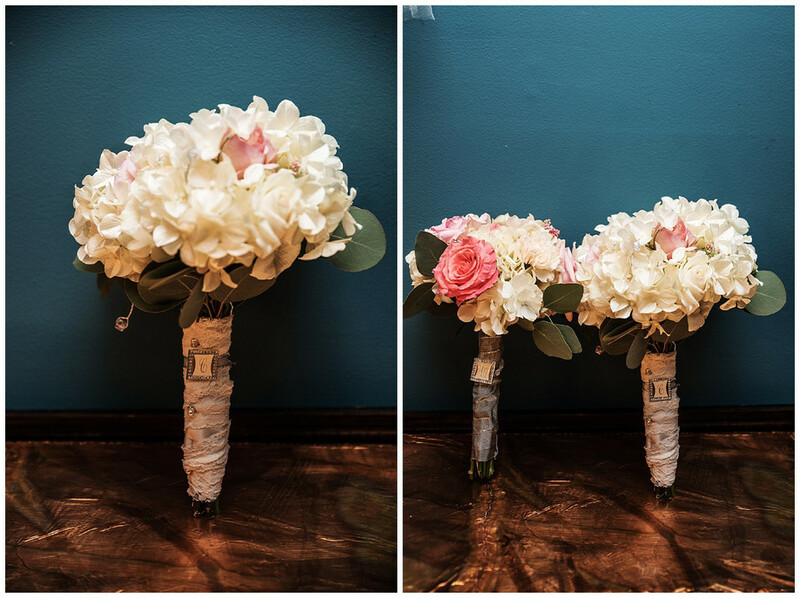 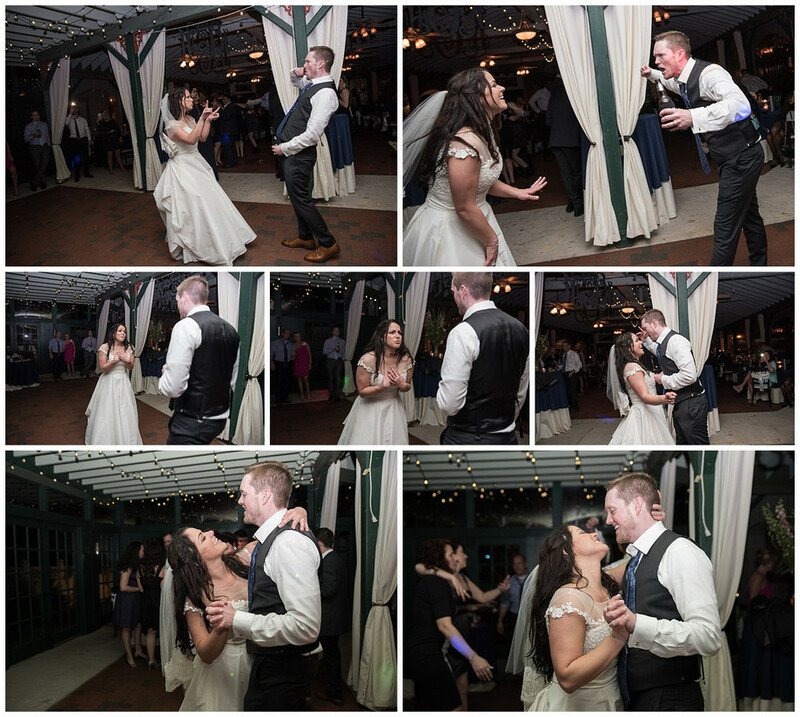 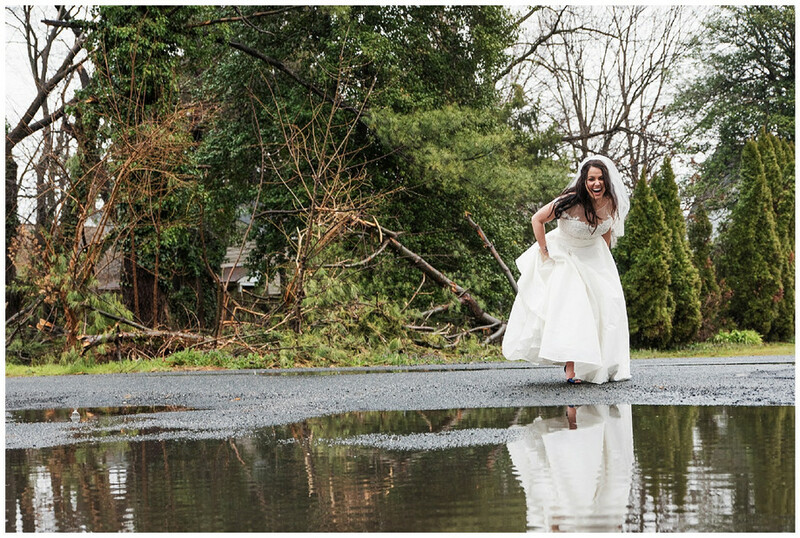 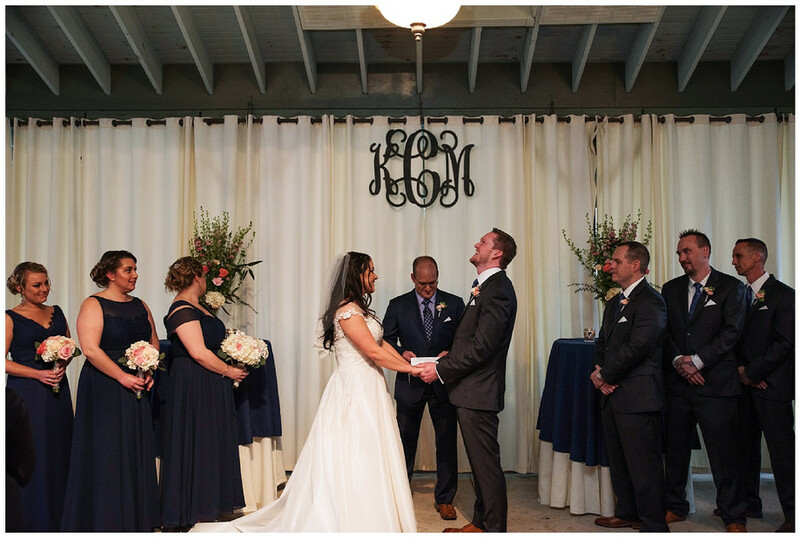 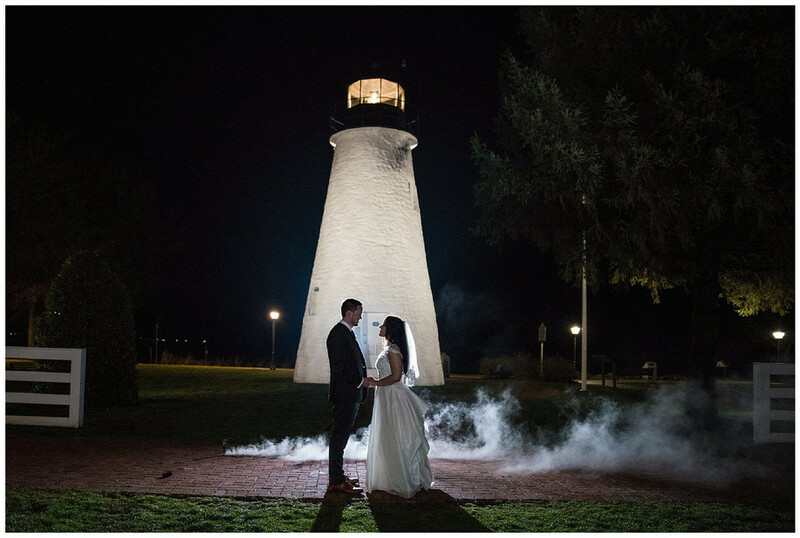 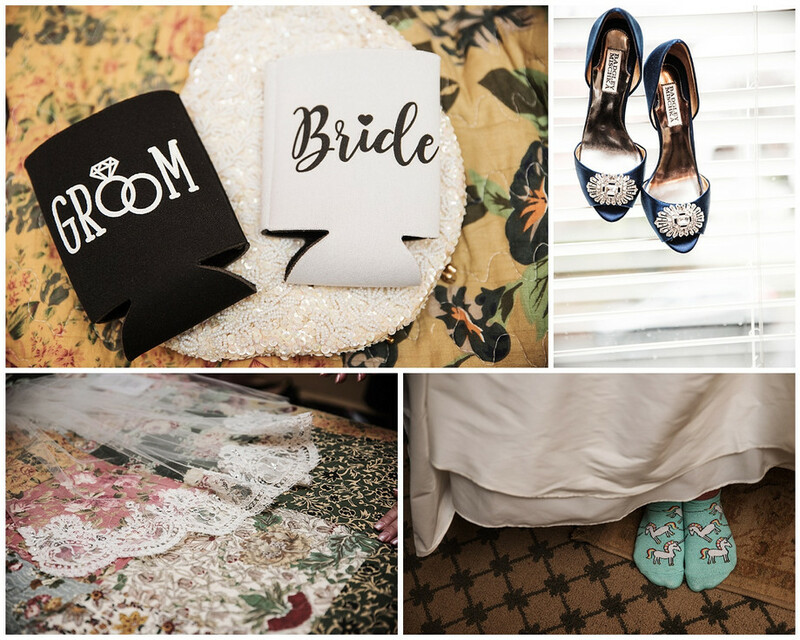 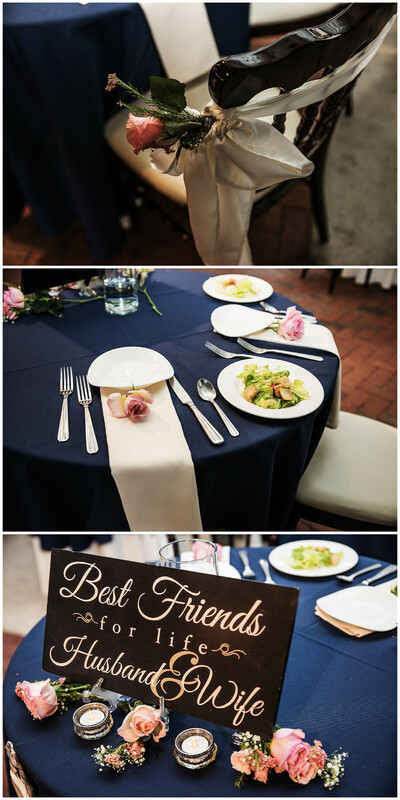 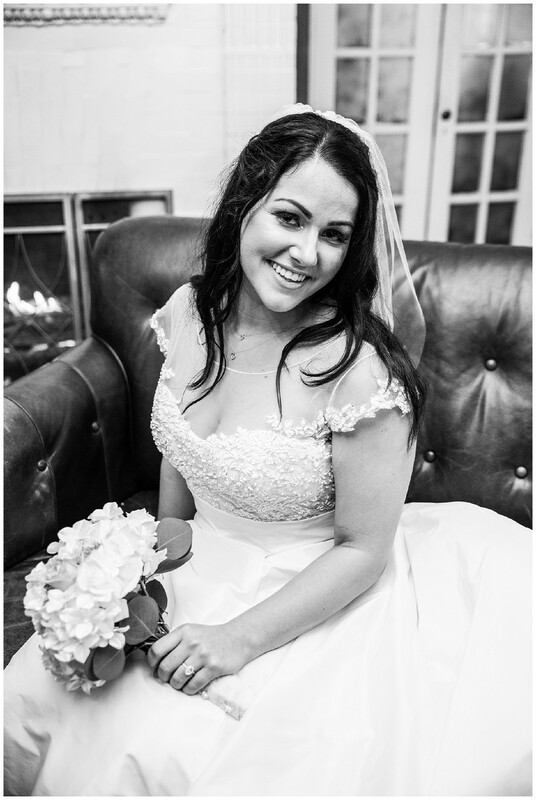 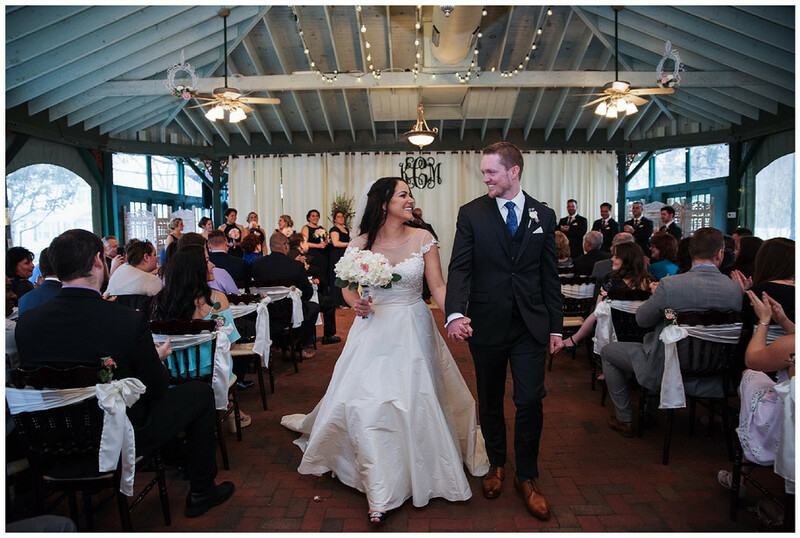 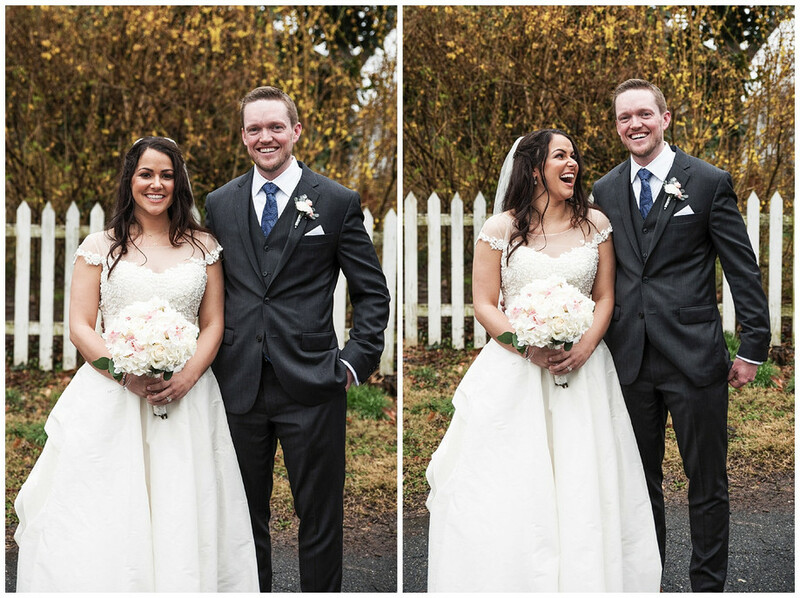 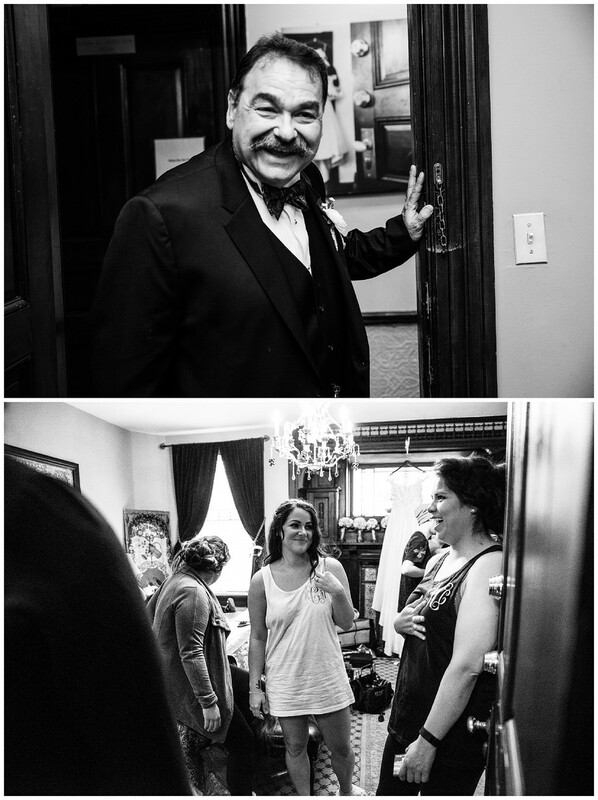 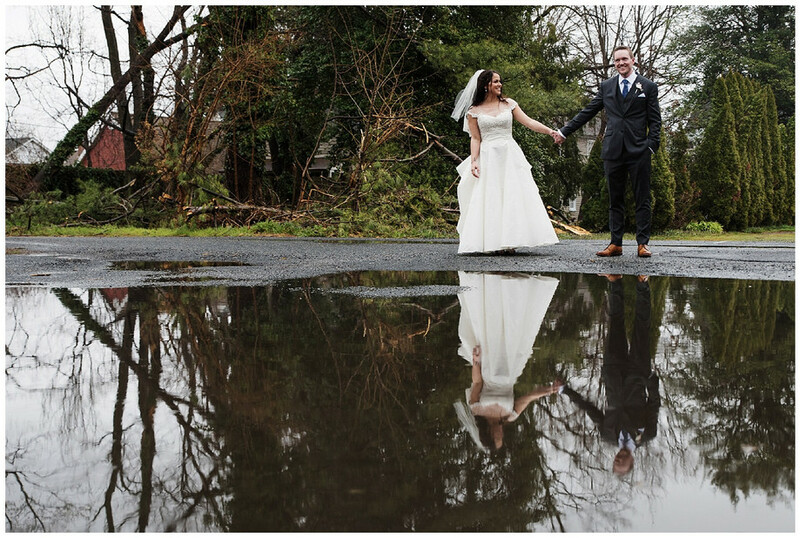 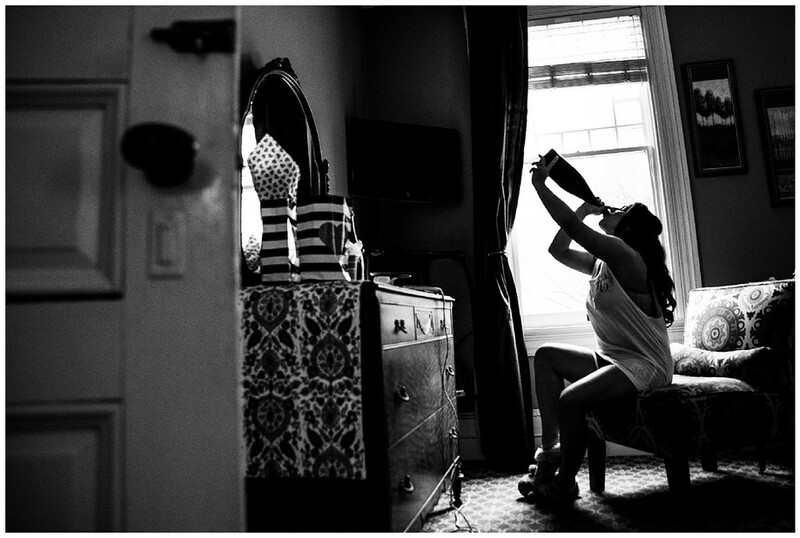 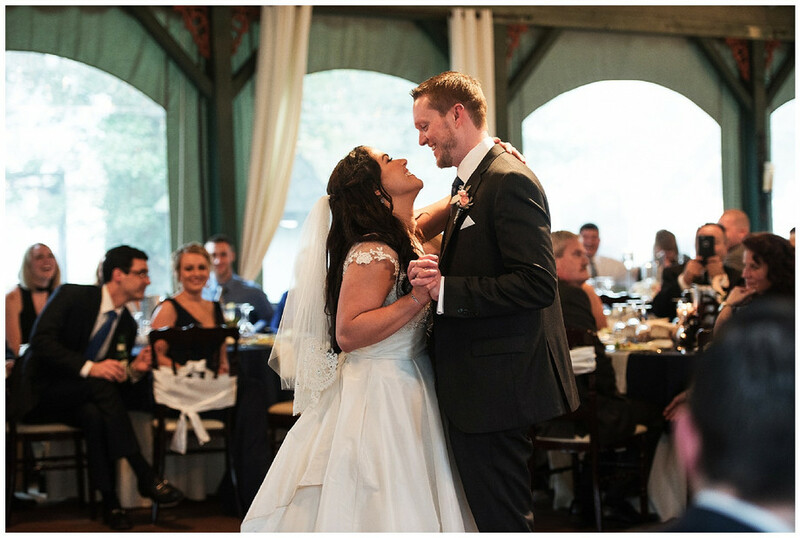 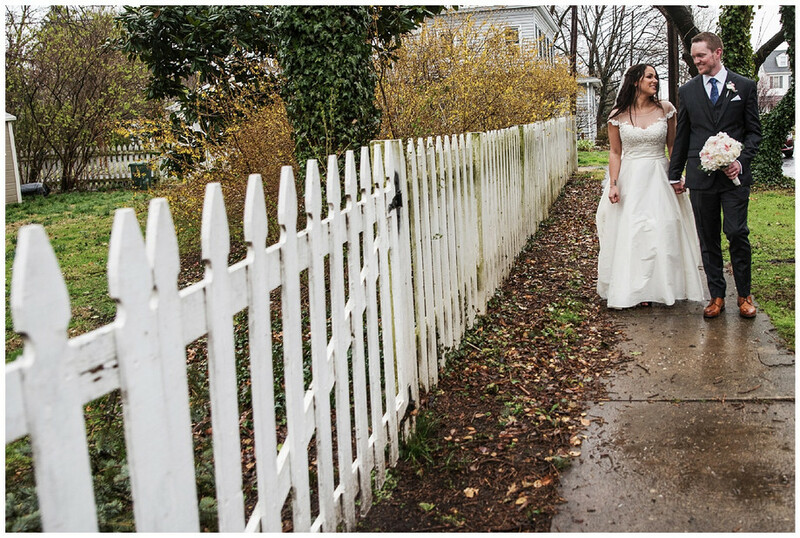 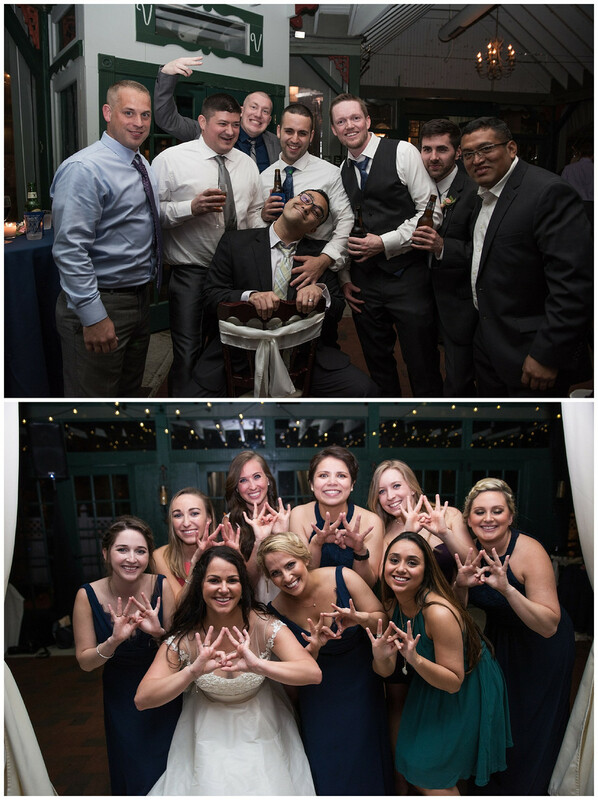 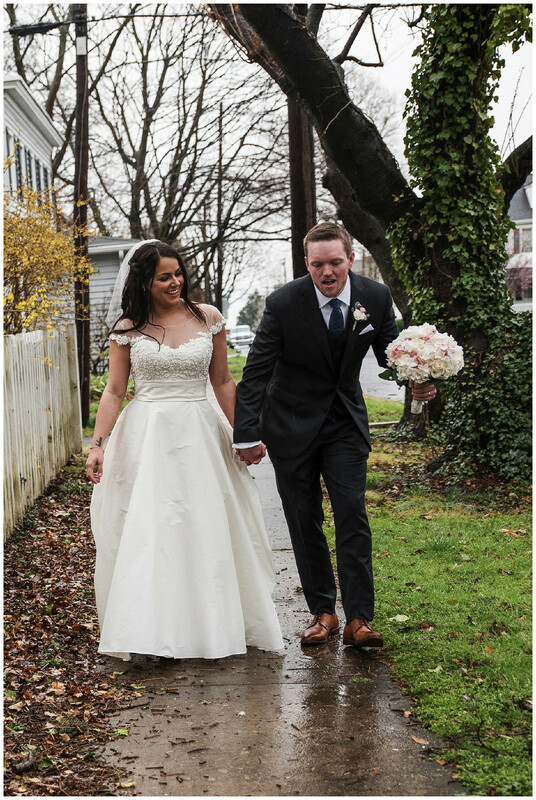 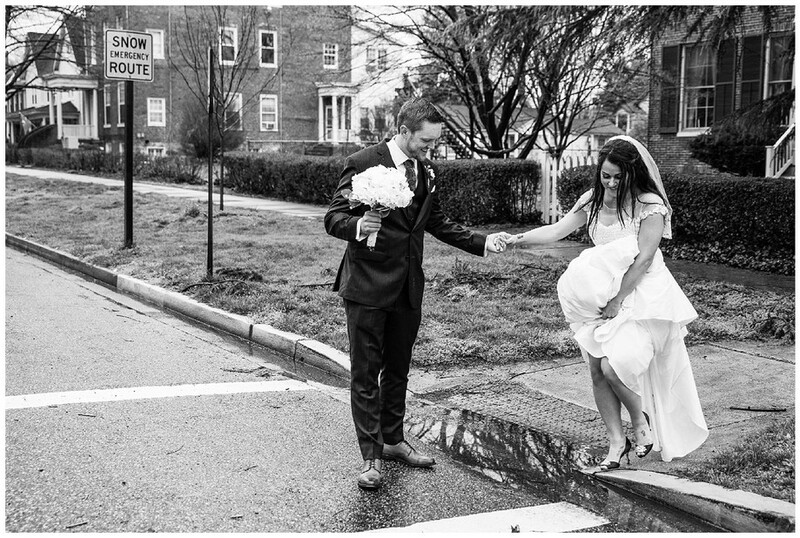 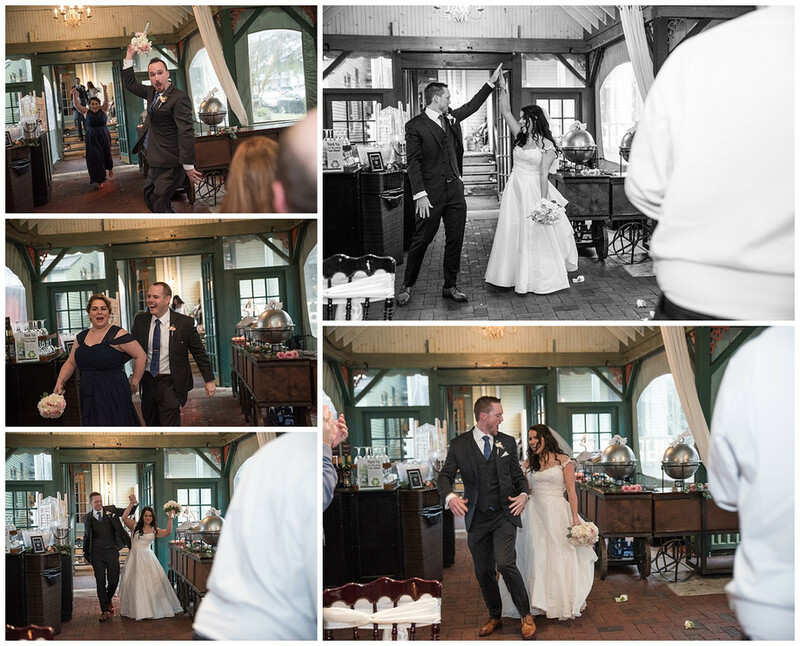 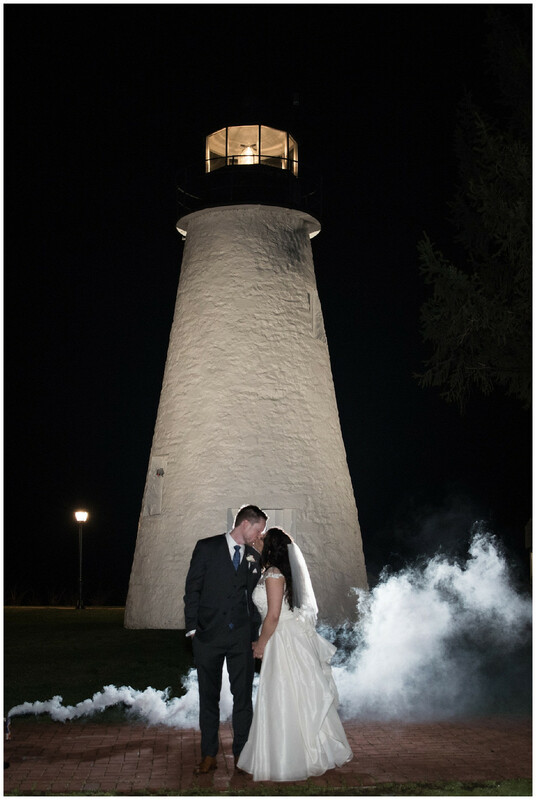 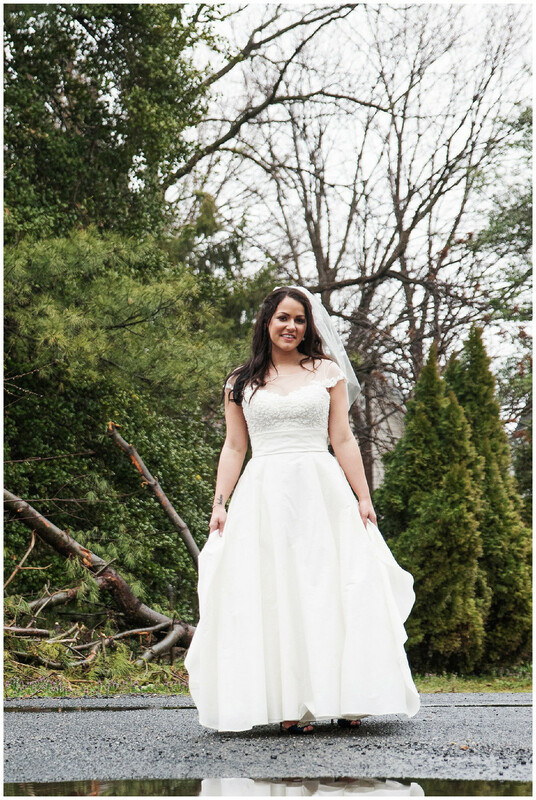 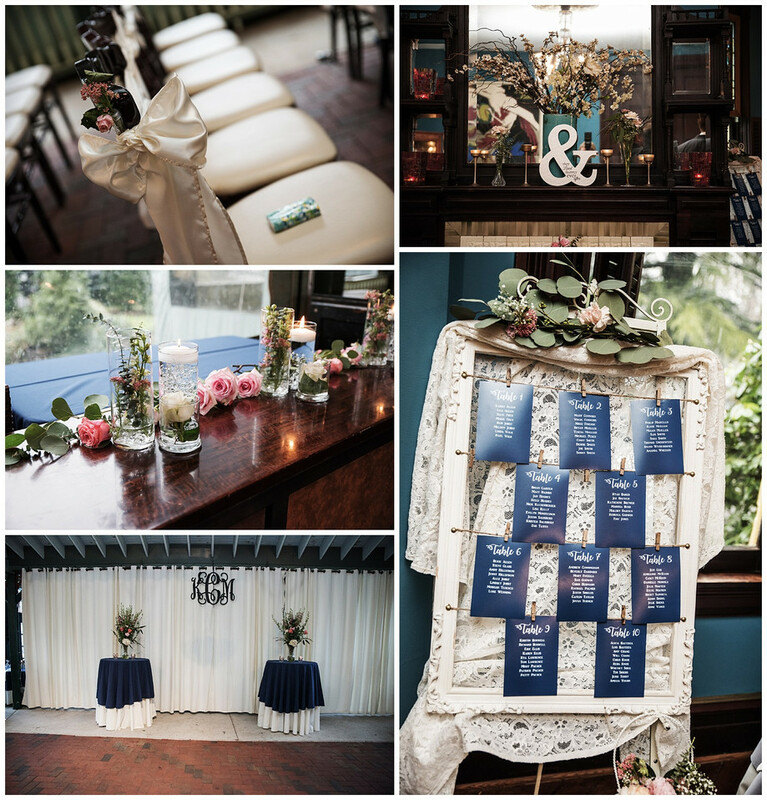 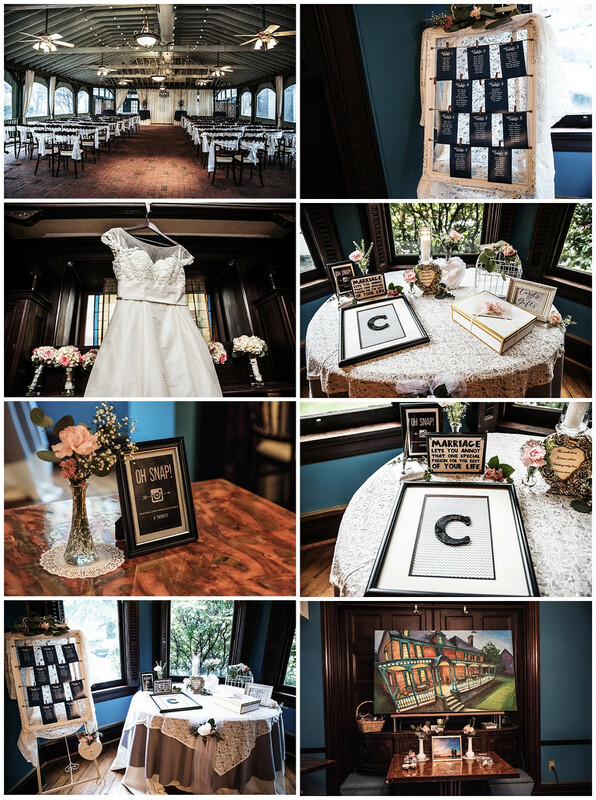 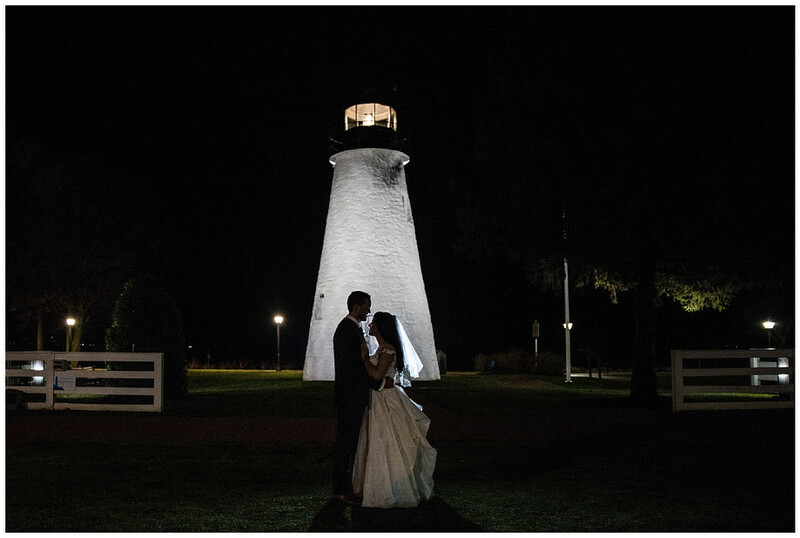 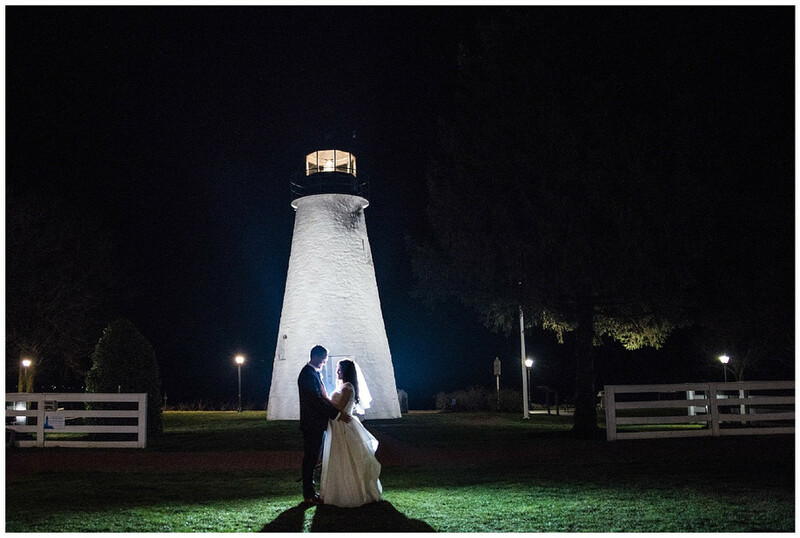 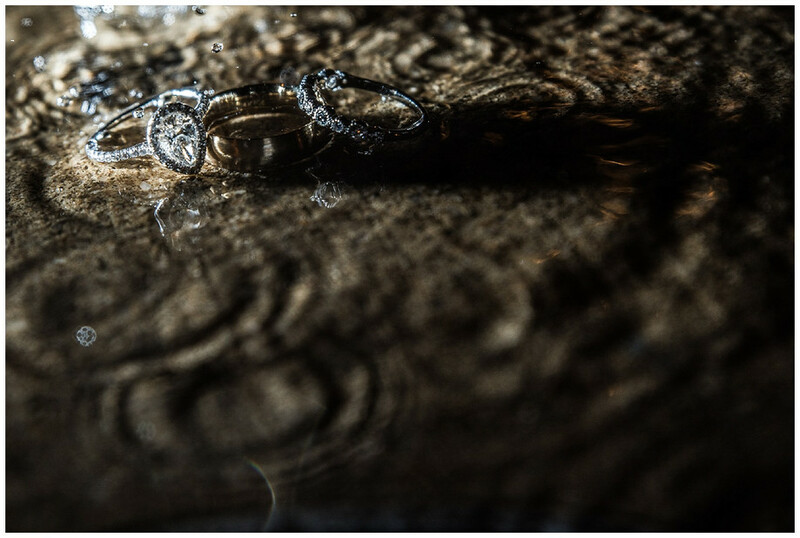 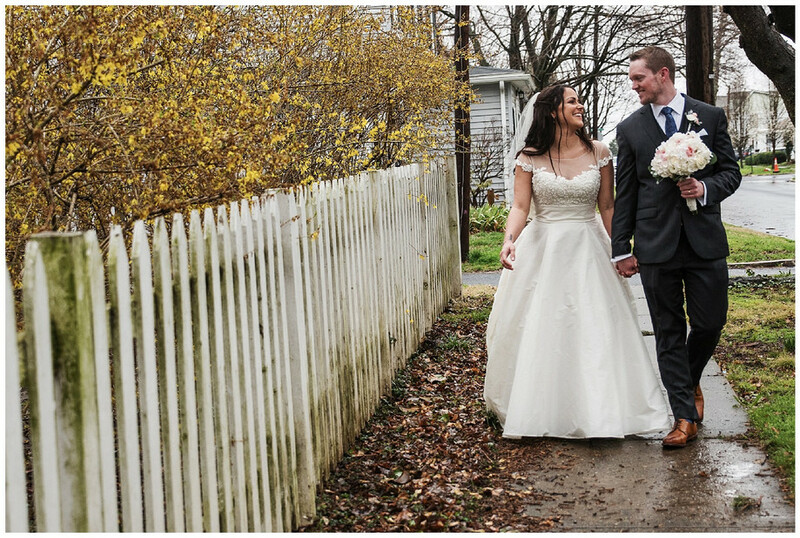 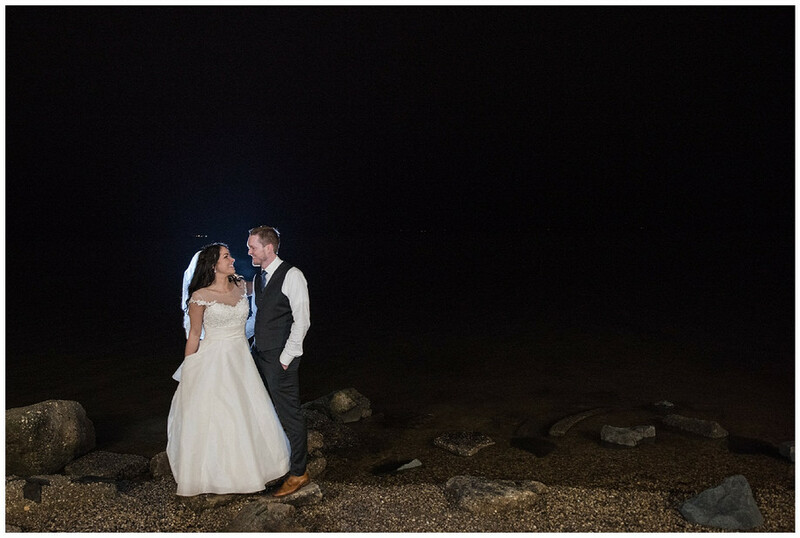 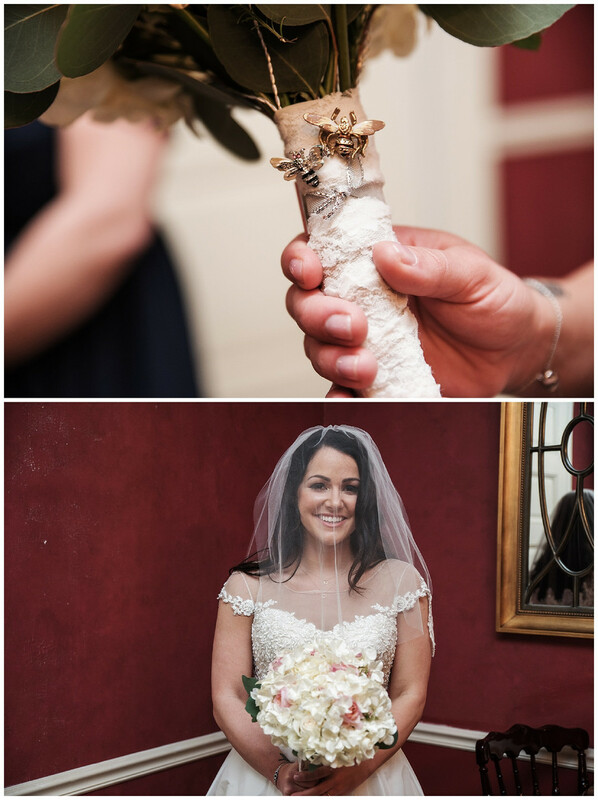 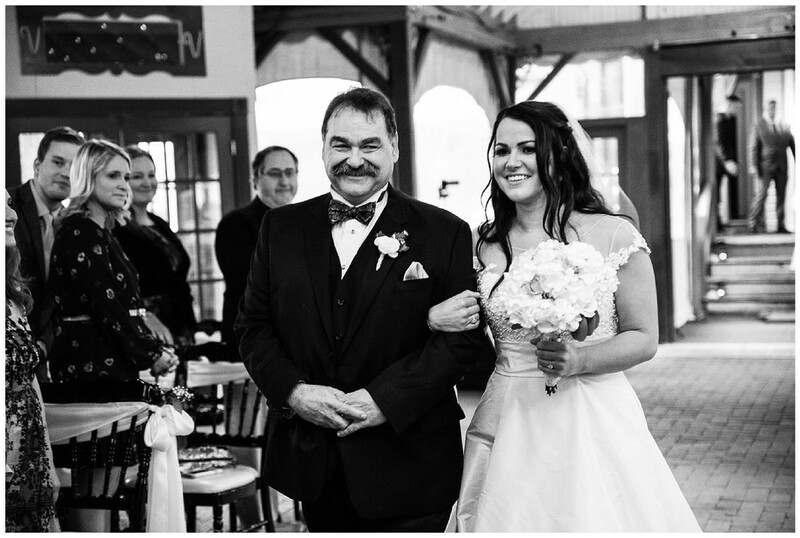 Maryland Wedding Photography- Vandiver Inn Wedding- Katie & Joe — Love & Adventure Photography- Baltimore Maryland Wedding & Adventure Photographer. 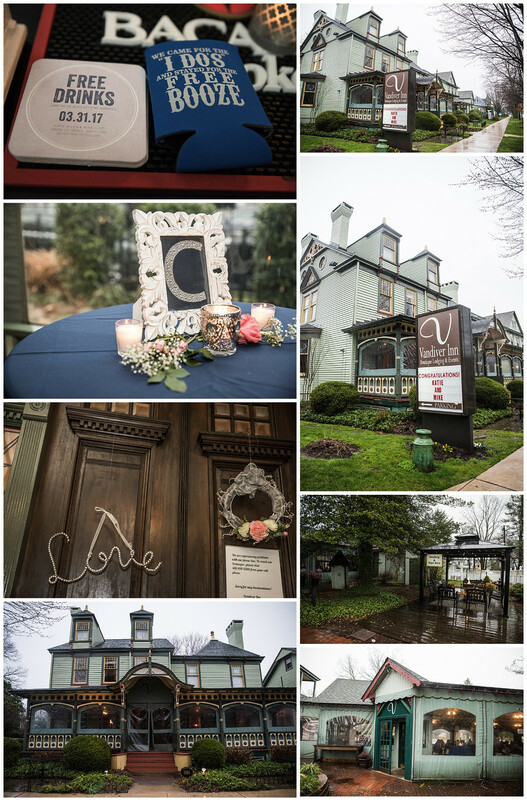 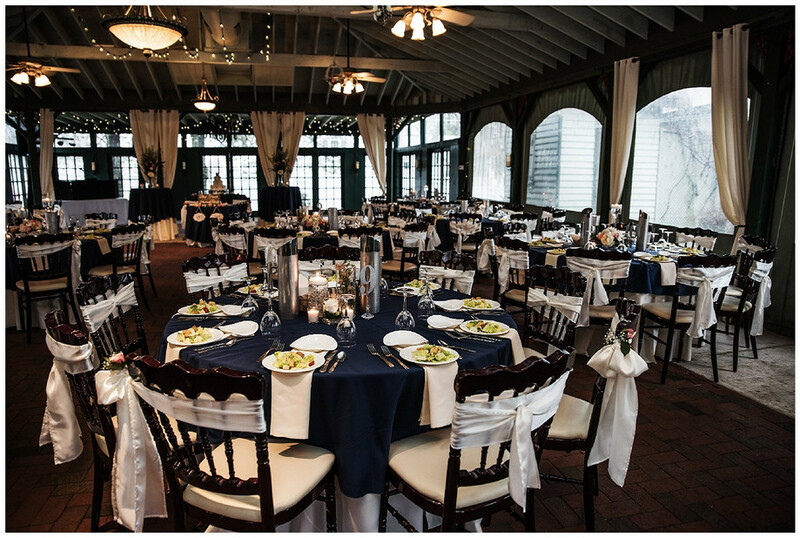 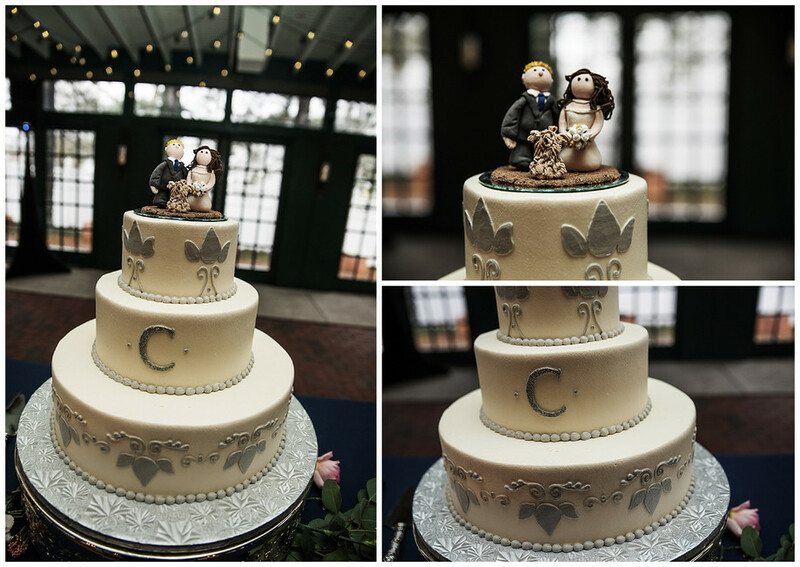 The best part about Vandiver Inn is that even if it's raining you can still have an amazing wedding. 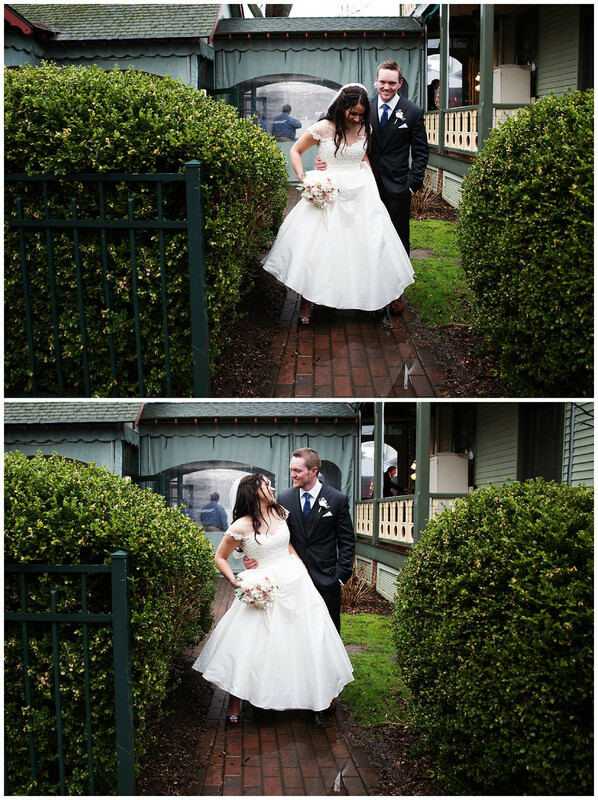 That said... Katie & Mike's Wedding started out with a bit of rain. 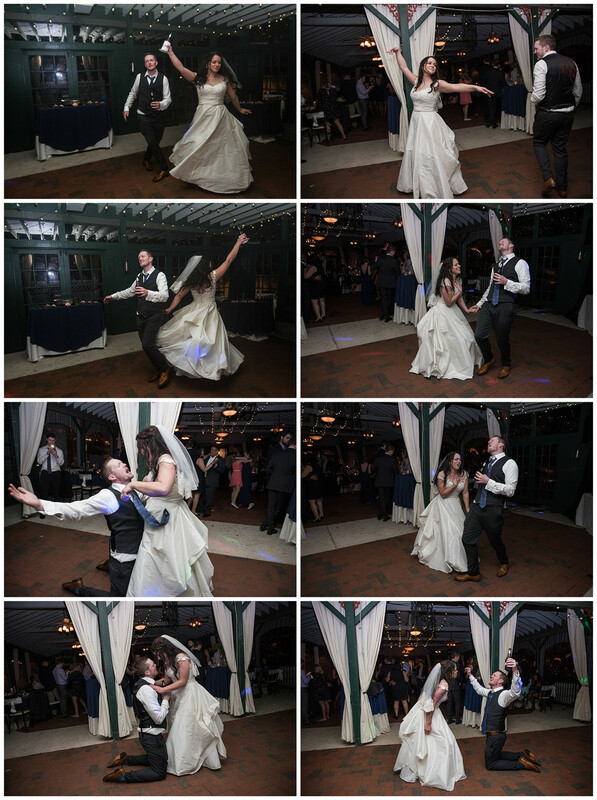 That didn't stop them from having an amazing time! 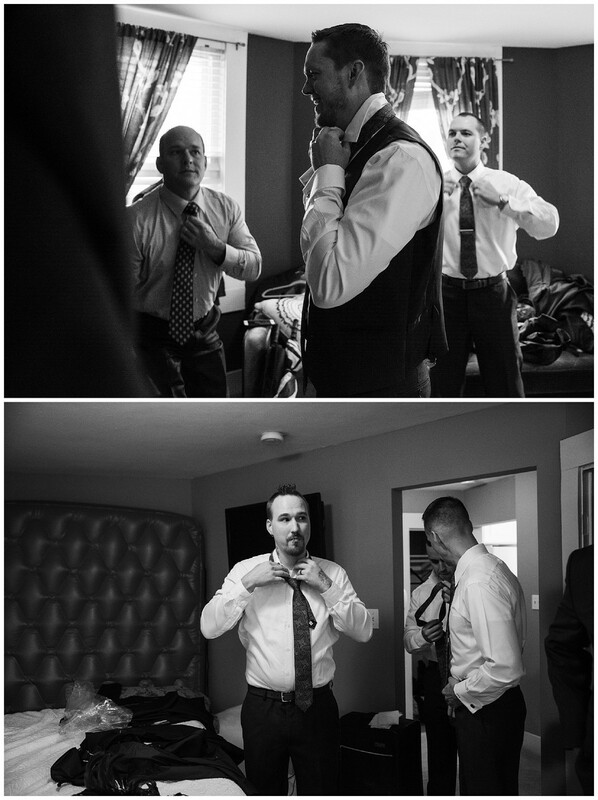 While Katie was getting her make-up done I over to hang out with the guys. 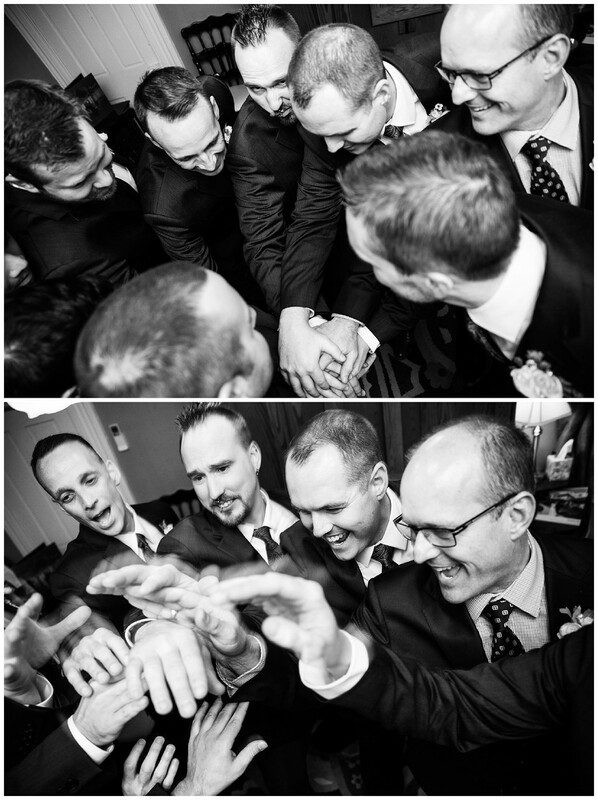 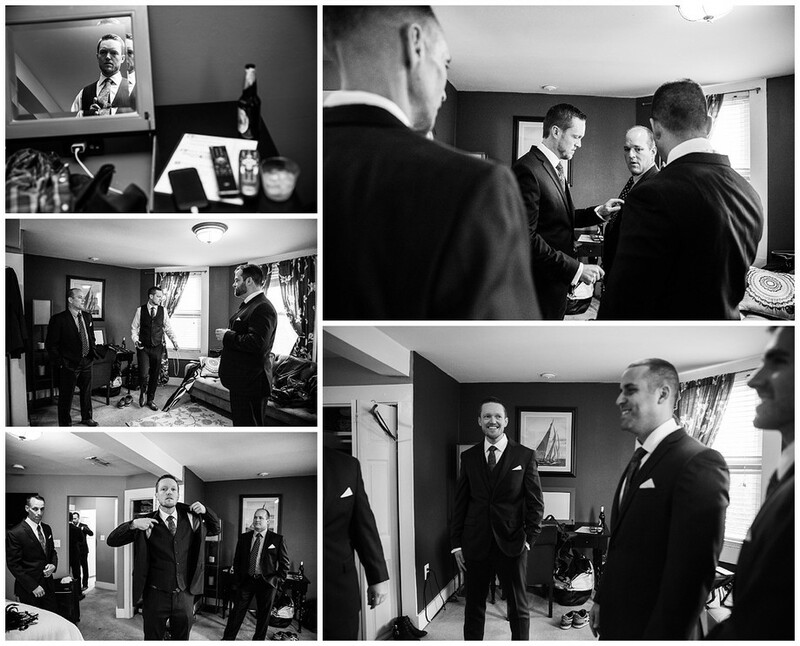 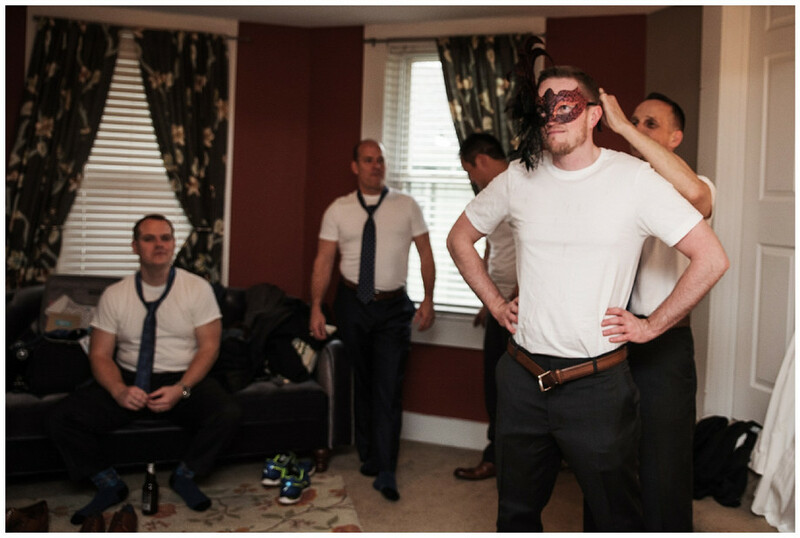 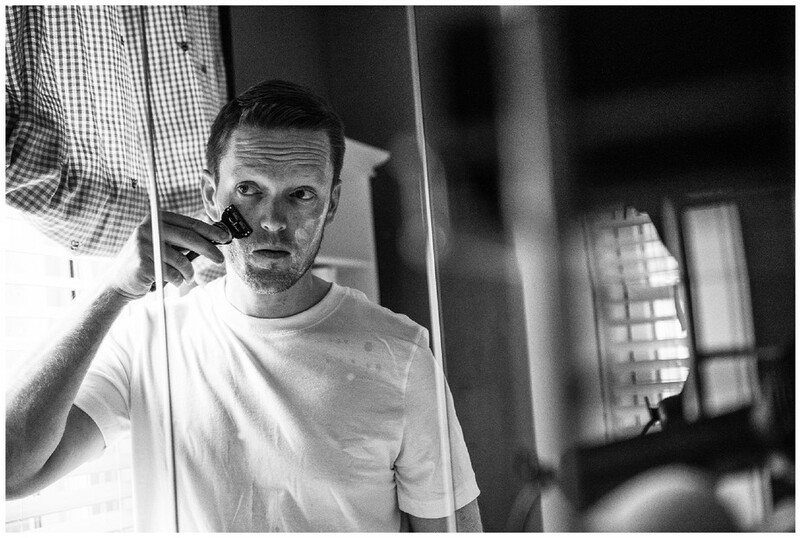 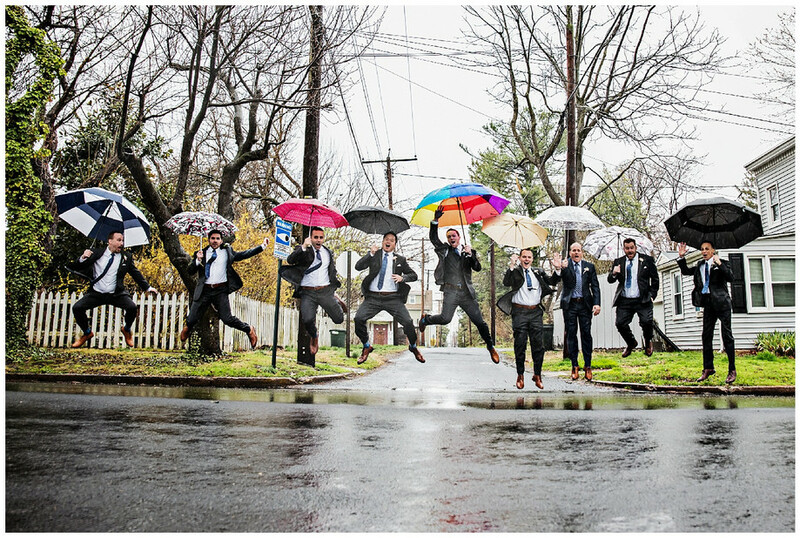 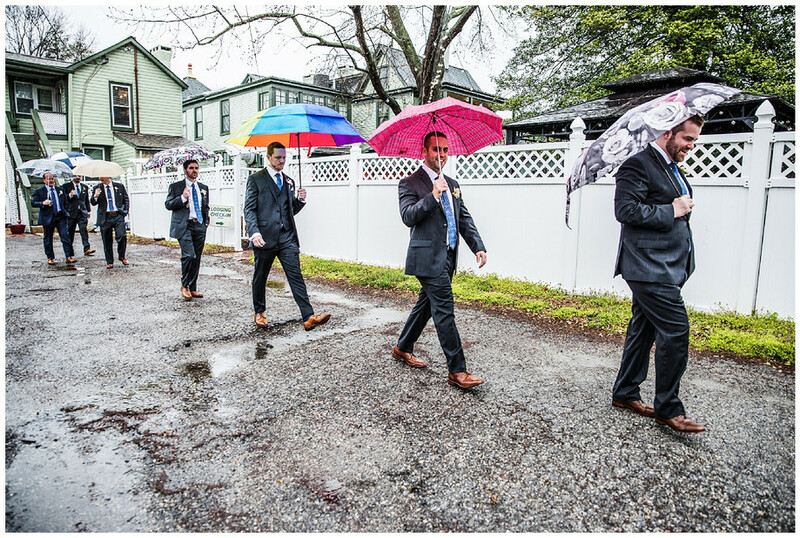 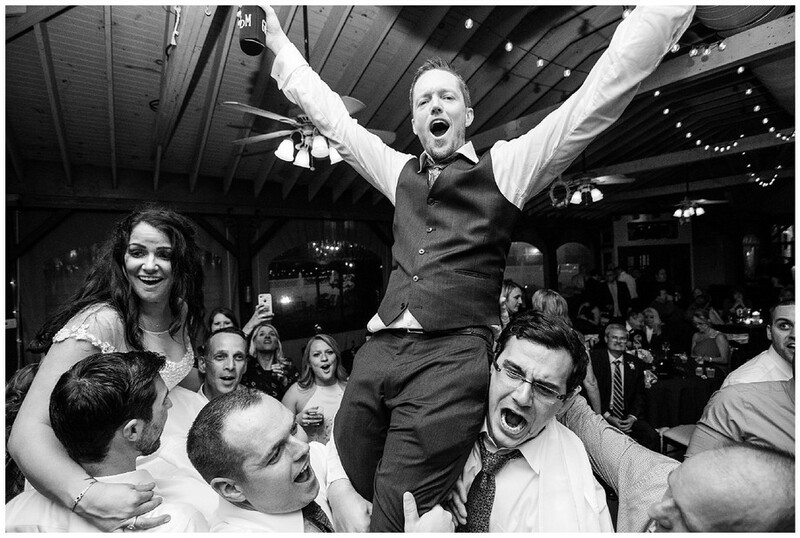 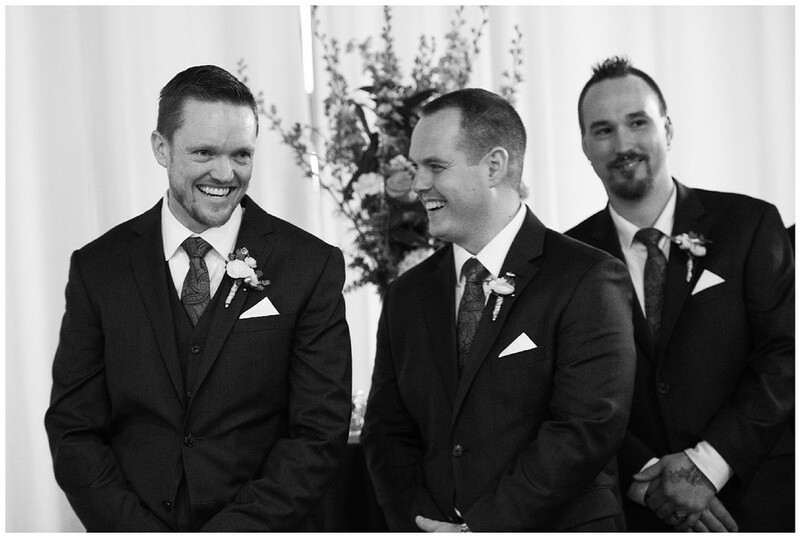 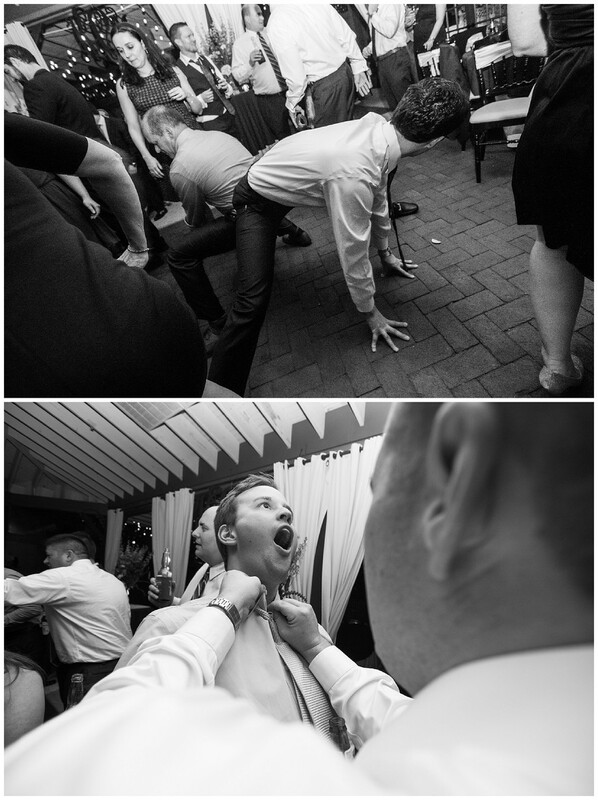 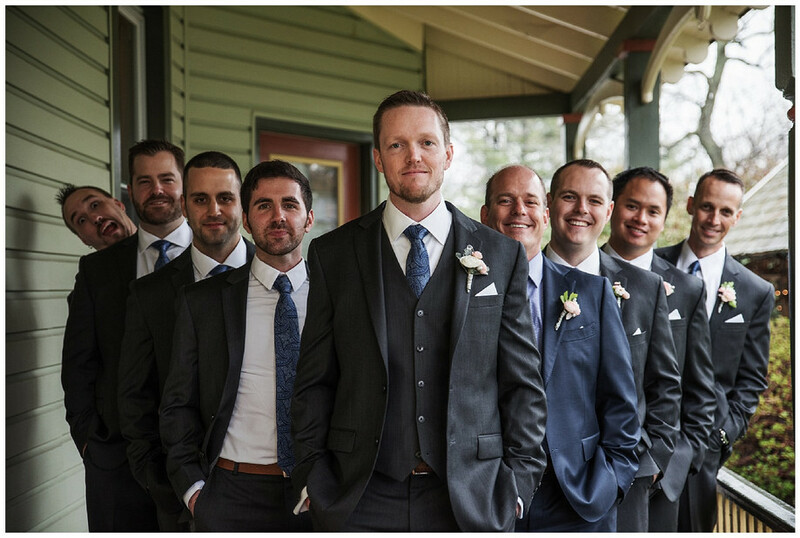 When I photograph groomsmen I like to see what I can get them to do. 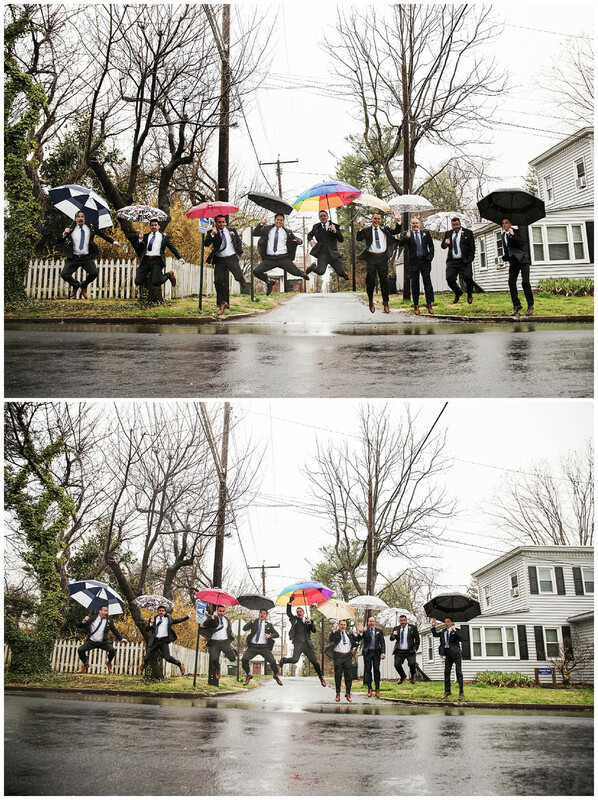 That said, I took them all outside and had them skipping with Umbrellas. 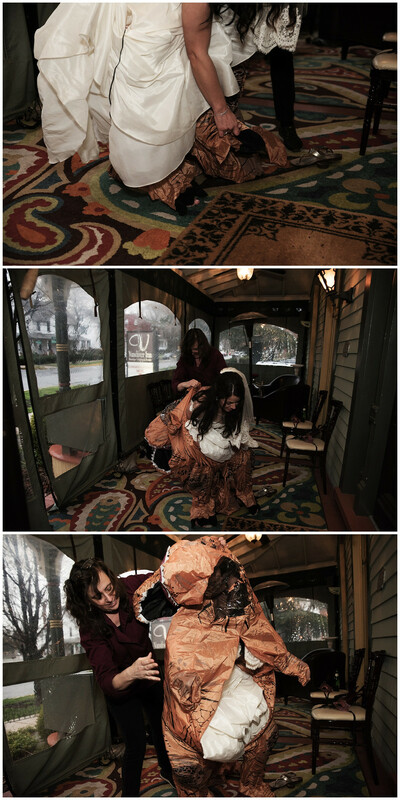 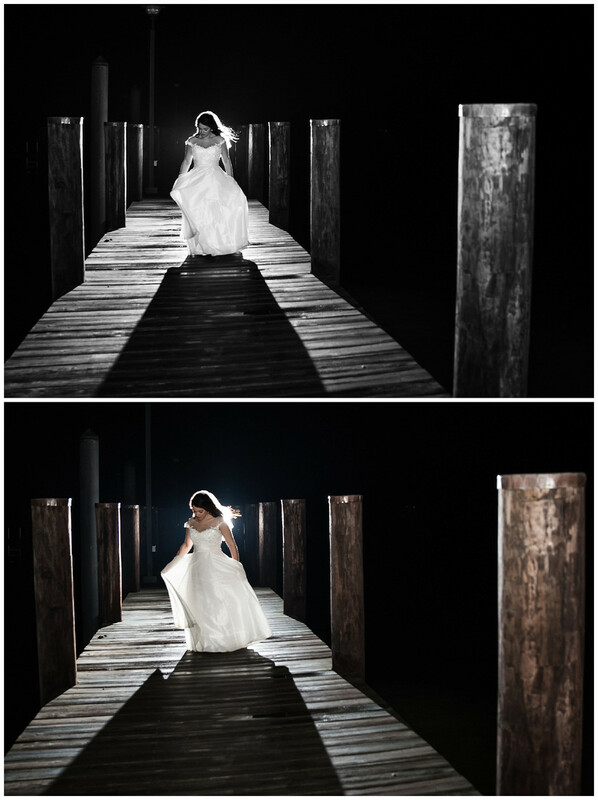 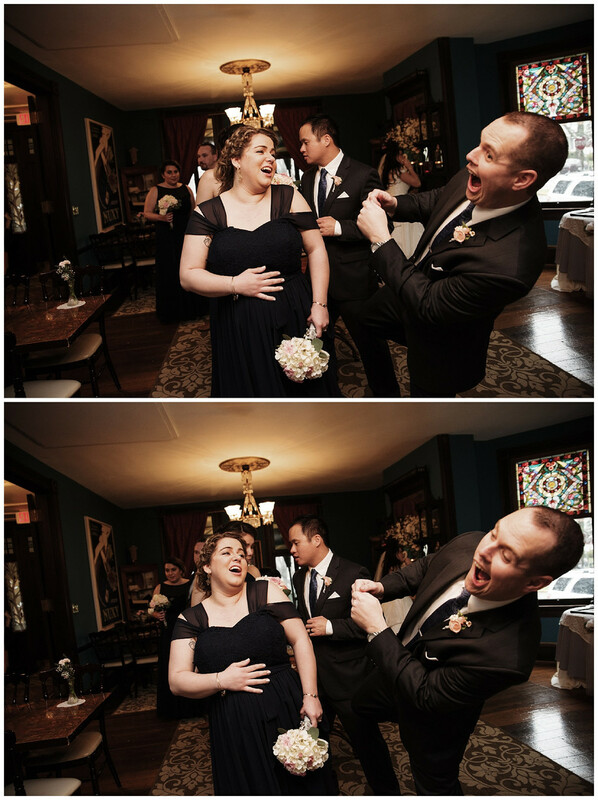 The result was absolutely hilarious and one of my favorite photos ever! 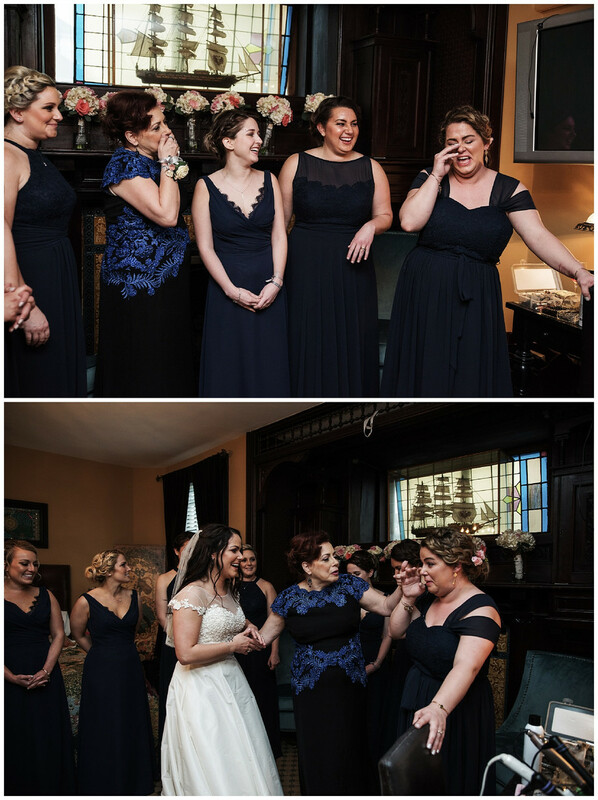 Of course without going outside the girls had to battle their funny shot. 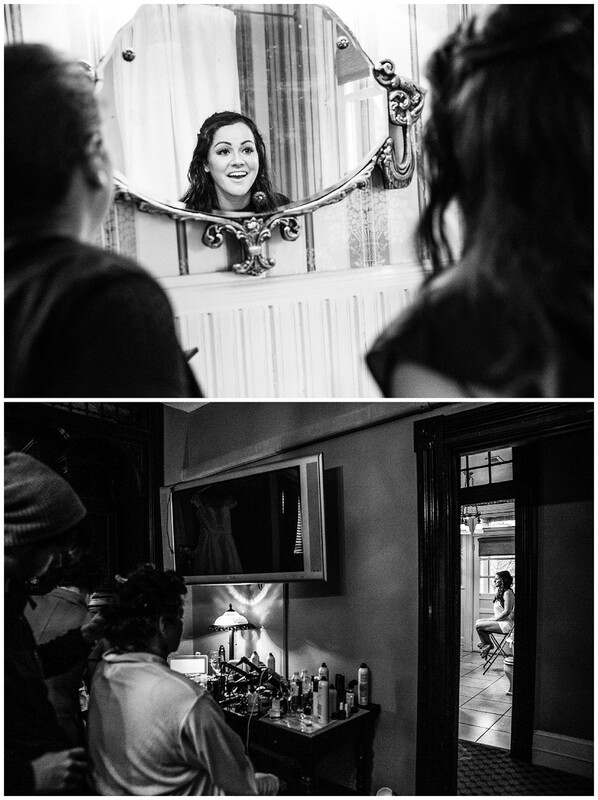 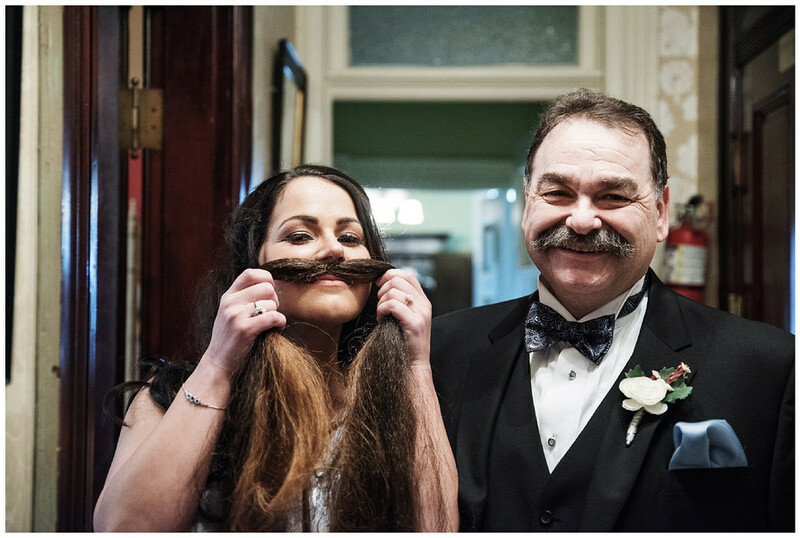 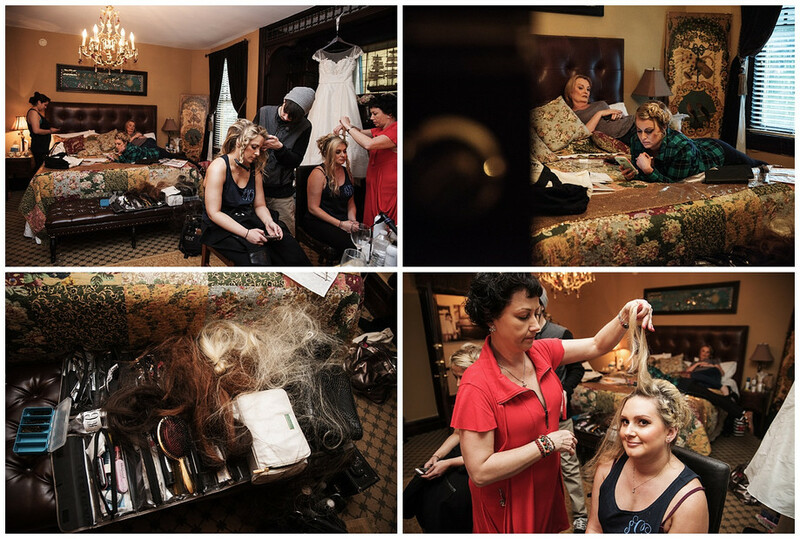 Which included extra hair extensions that looked similar to Katie's dad's mustache! 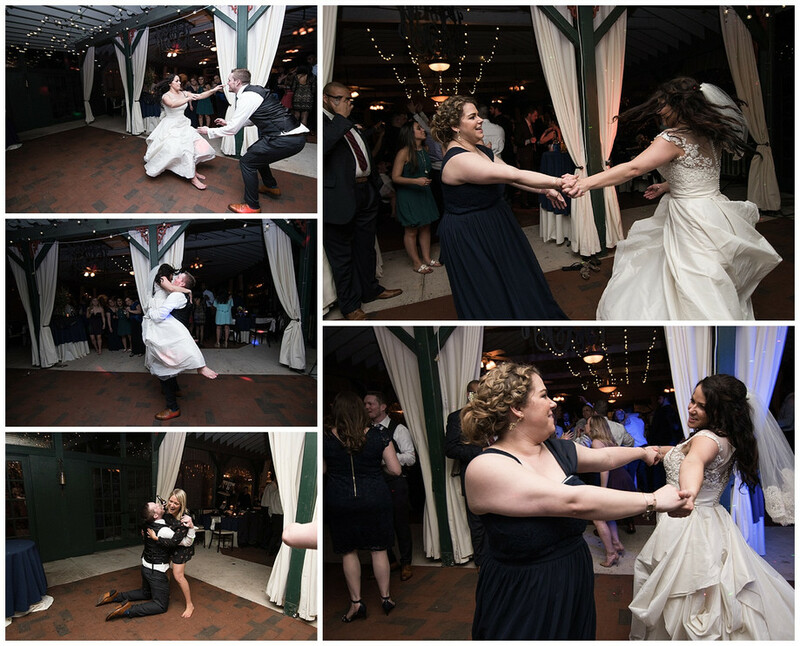 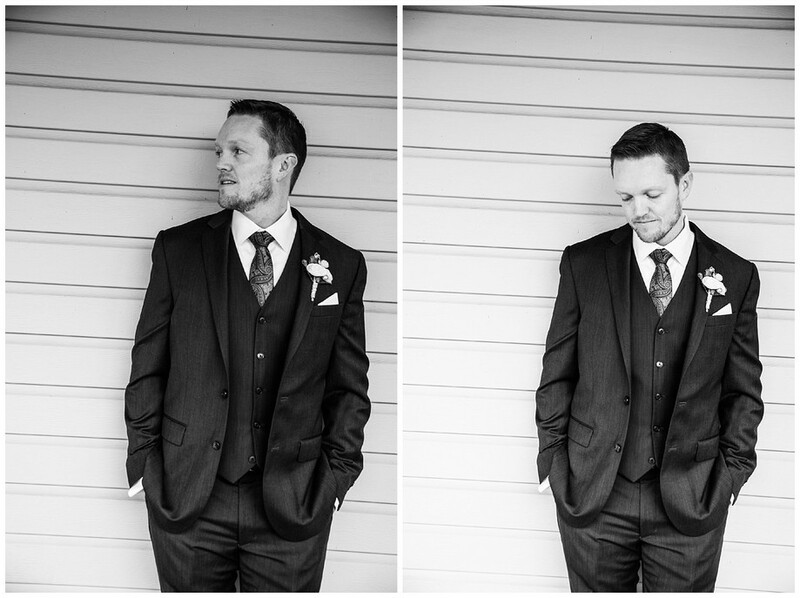 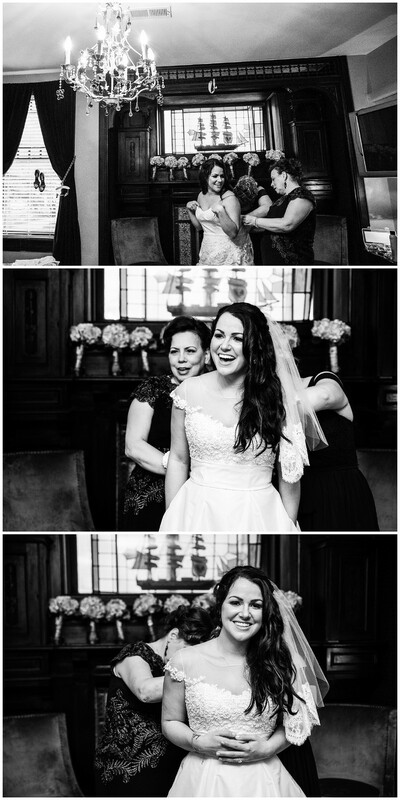 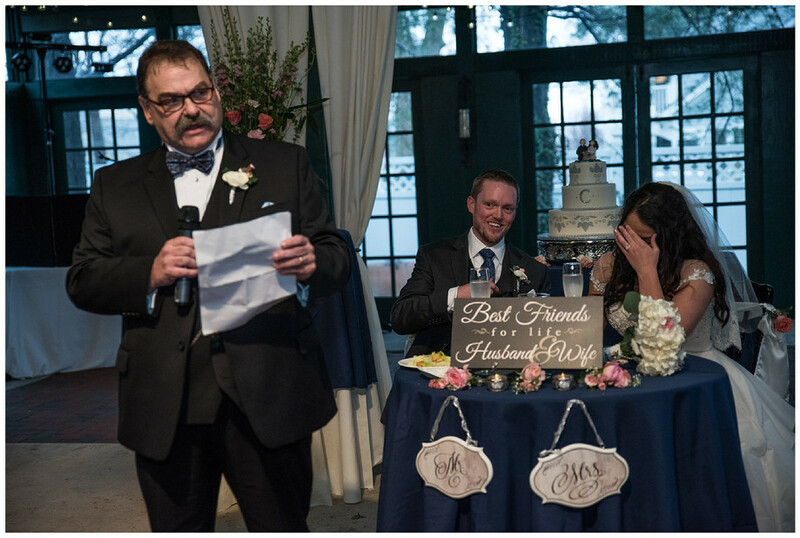 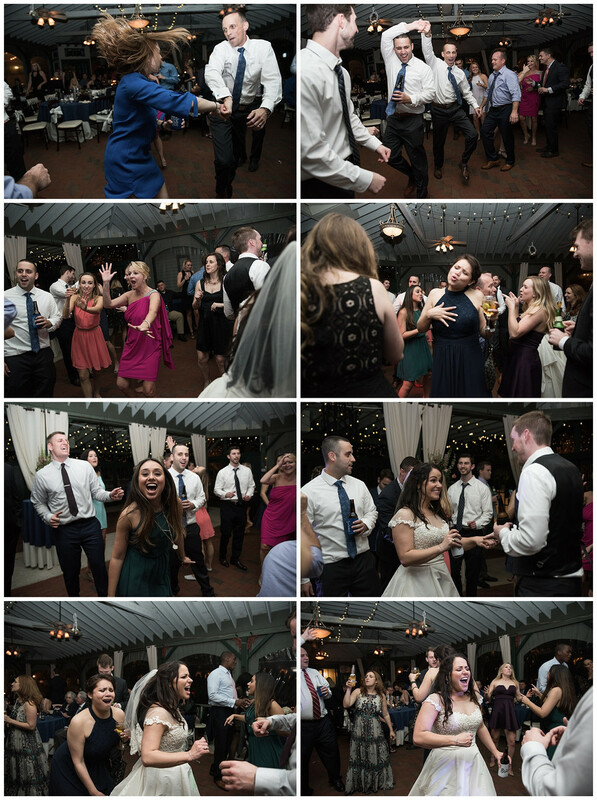 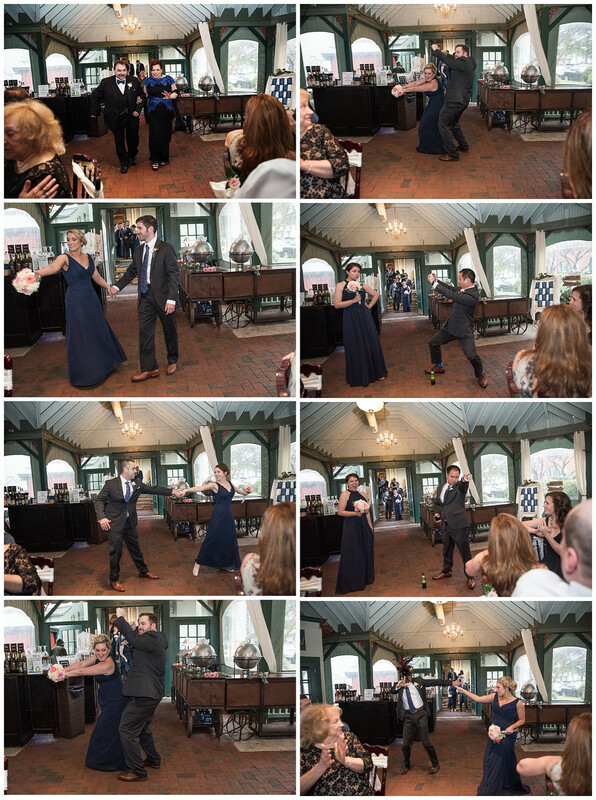 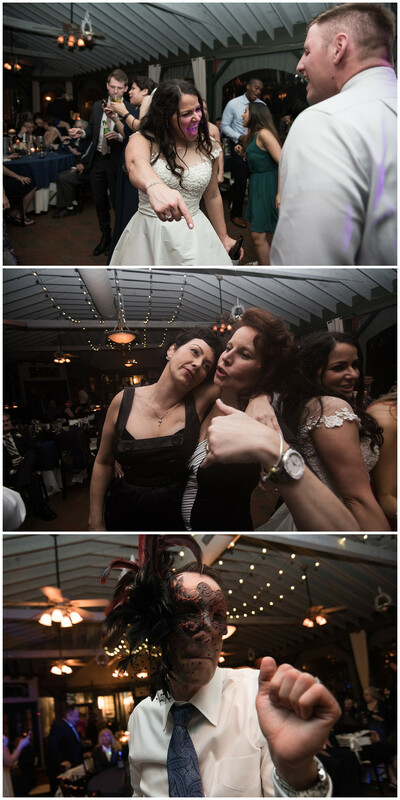 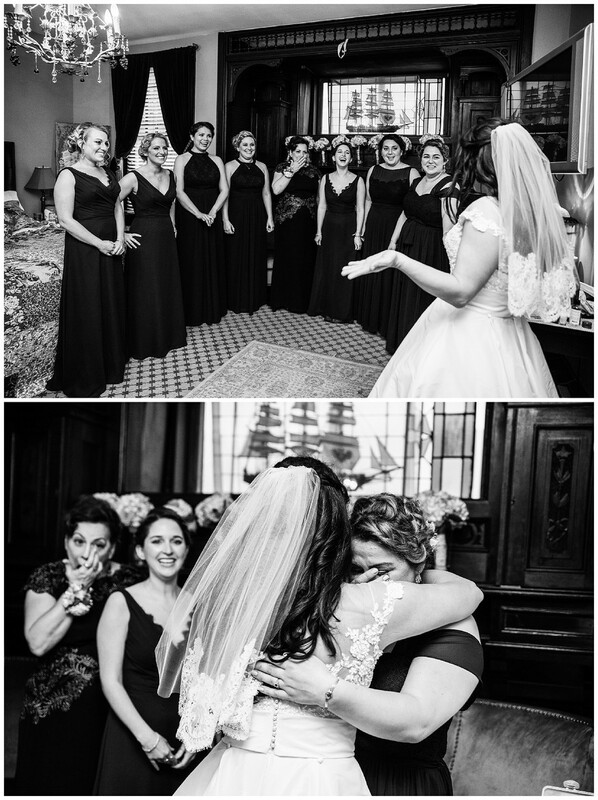 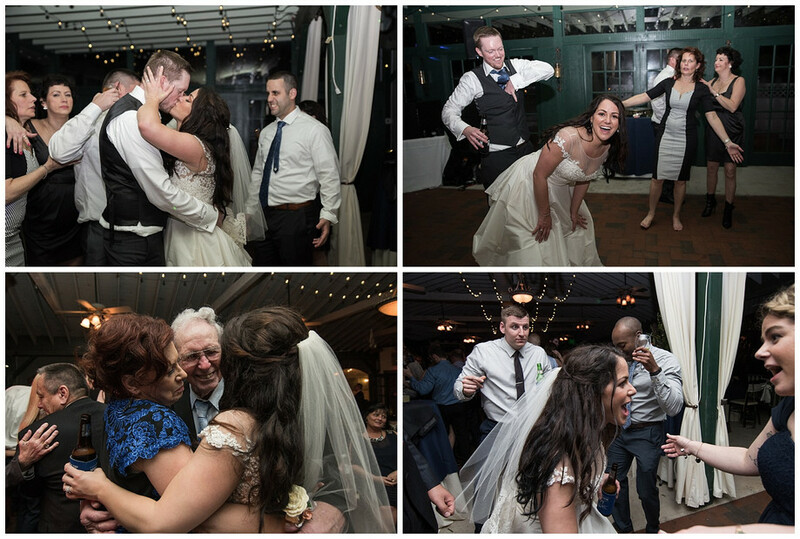 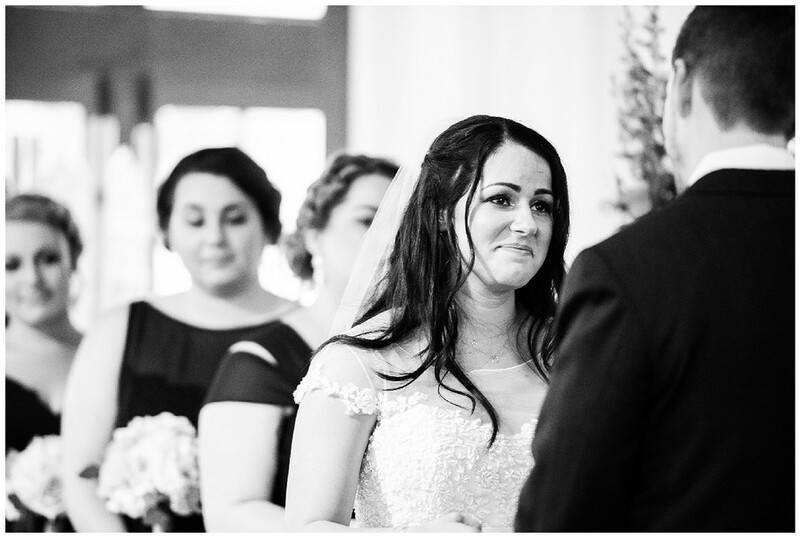 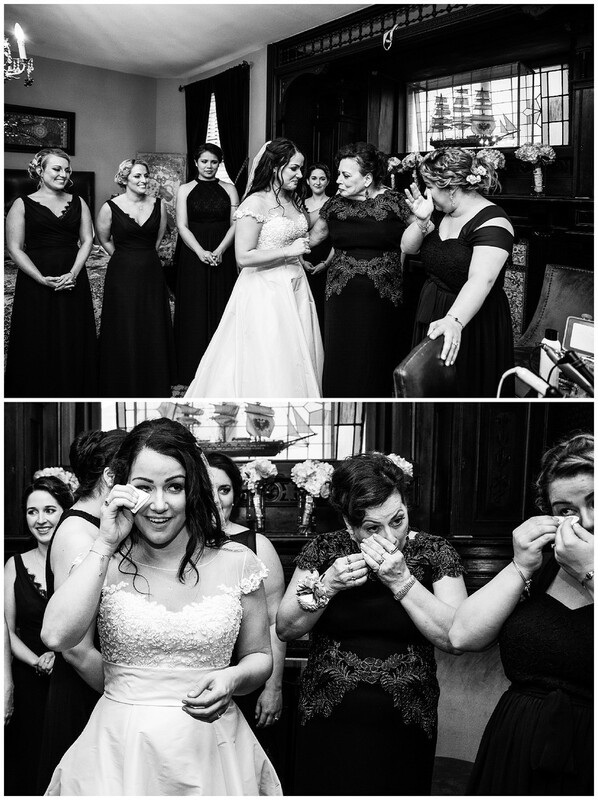 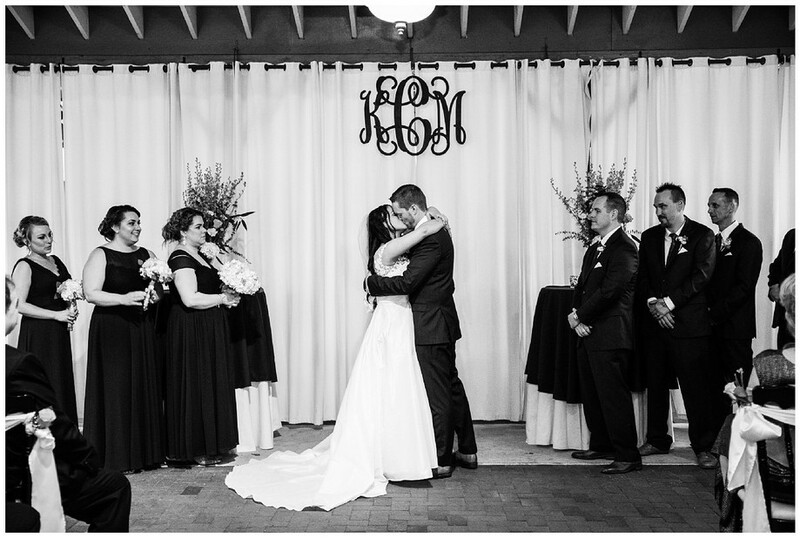 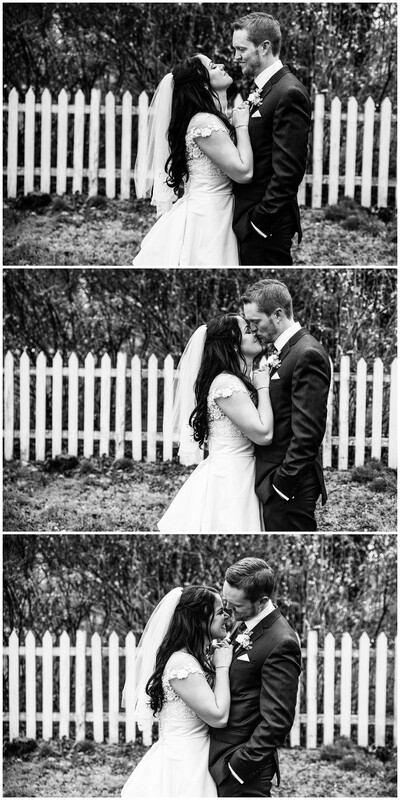 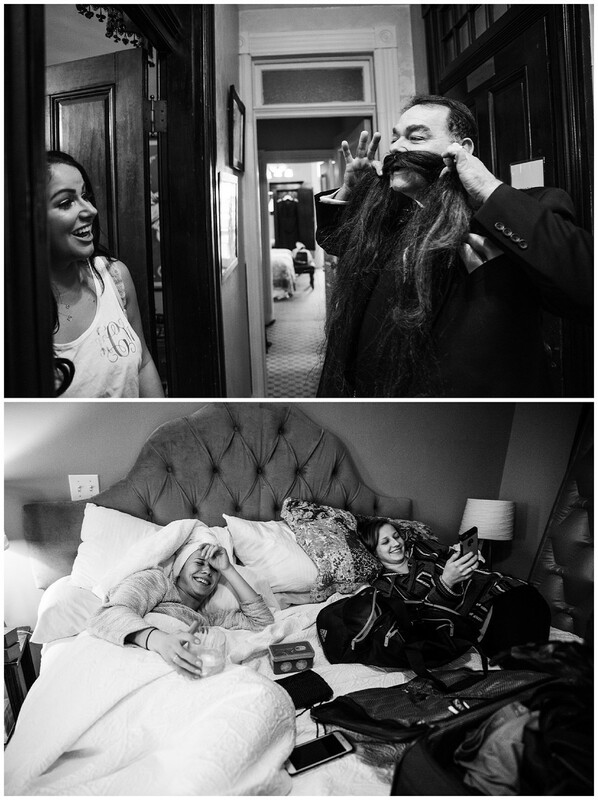 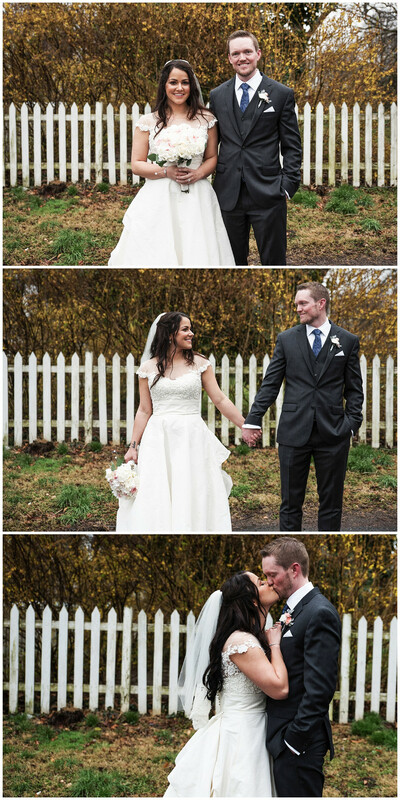 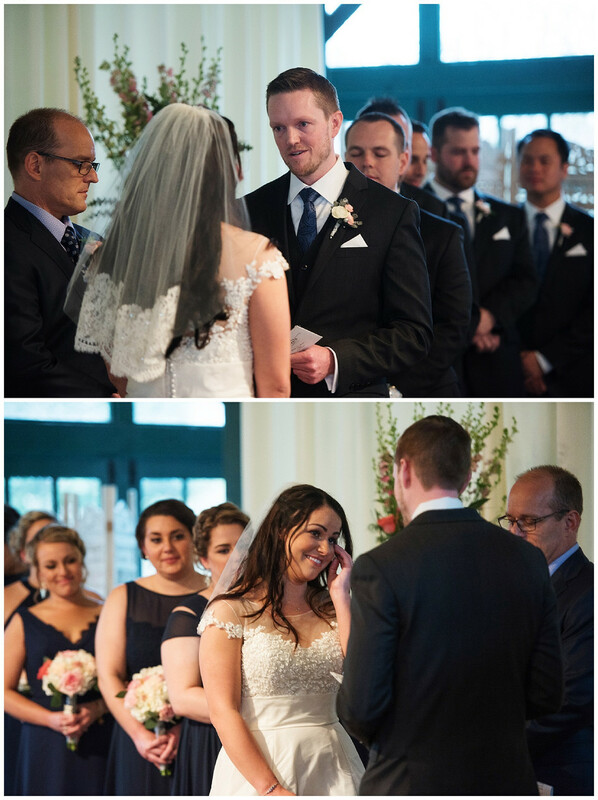 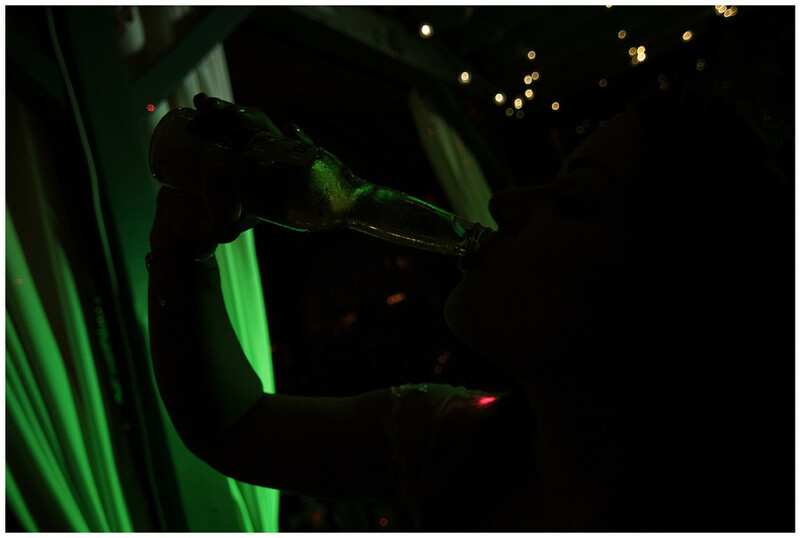 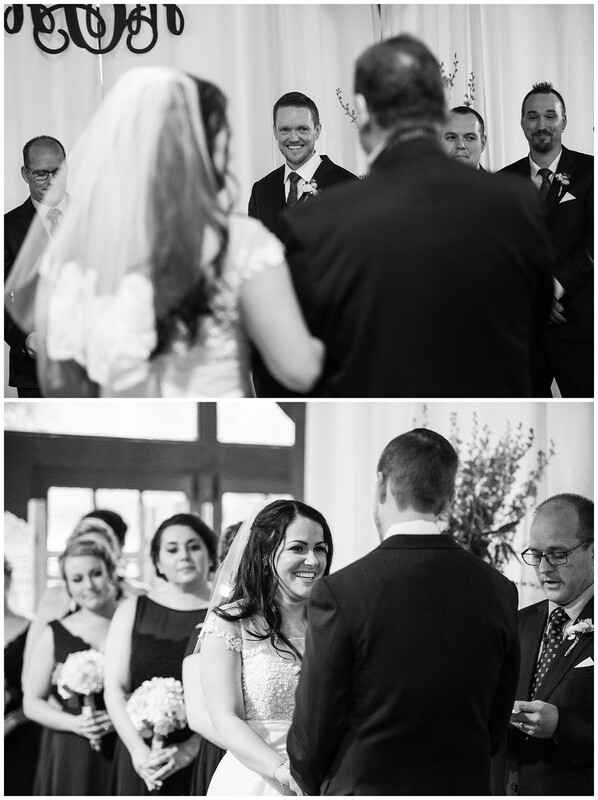 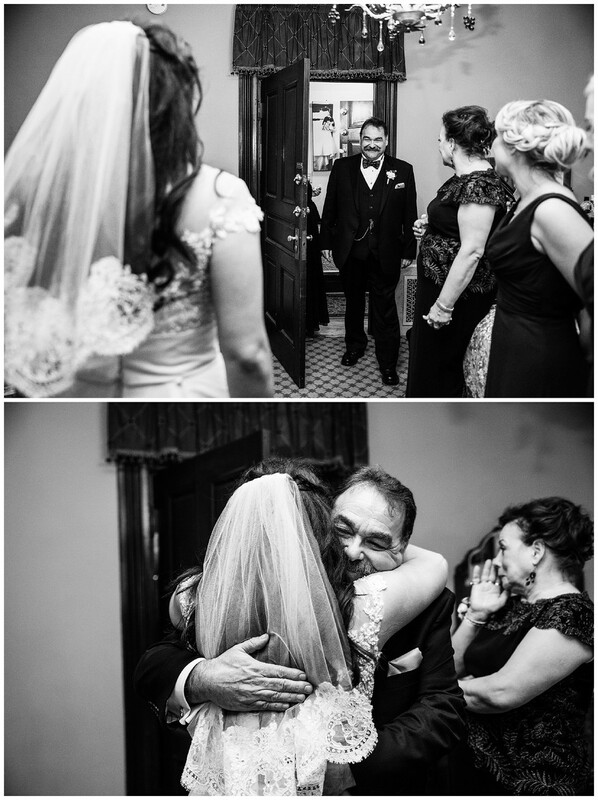 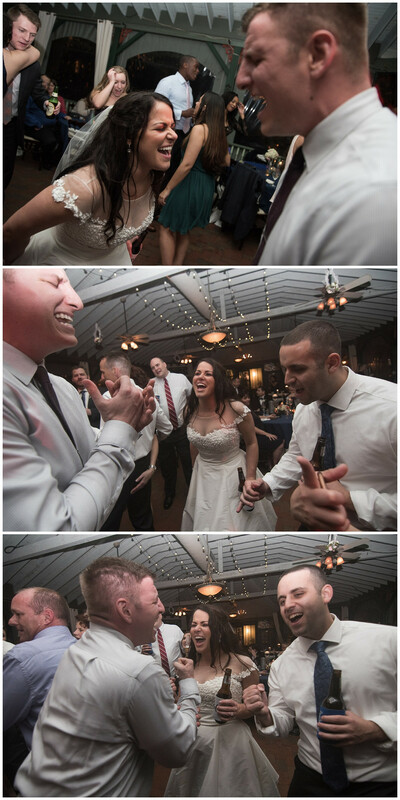 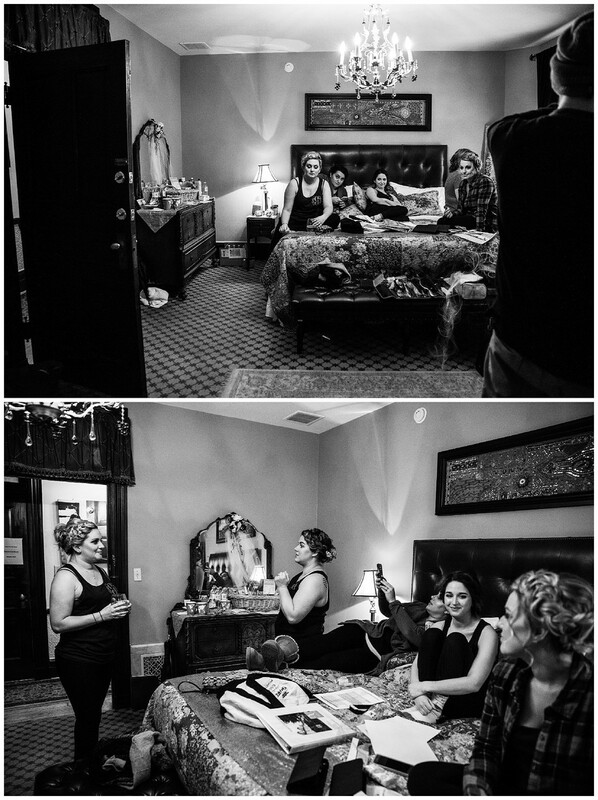 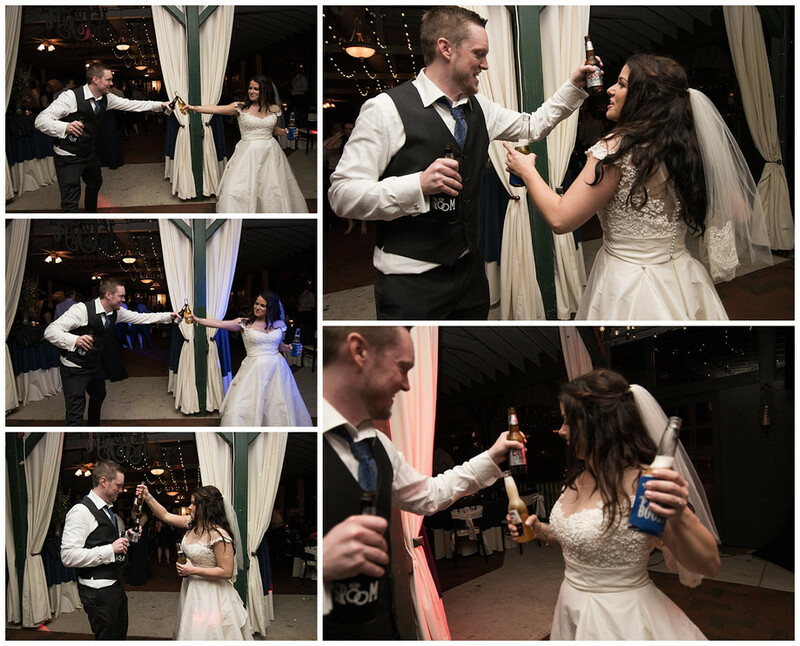 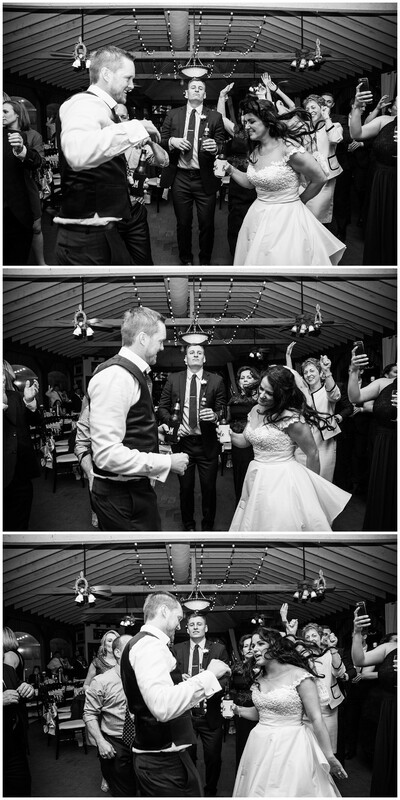 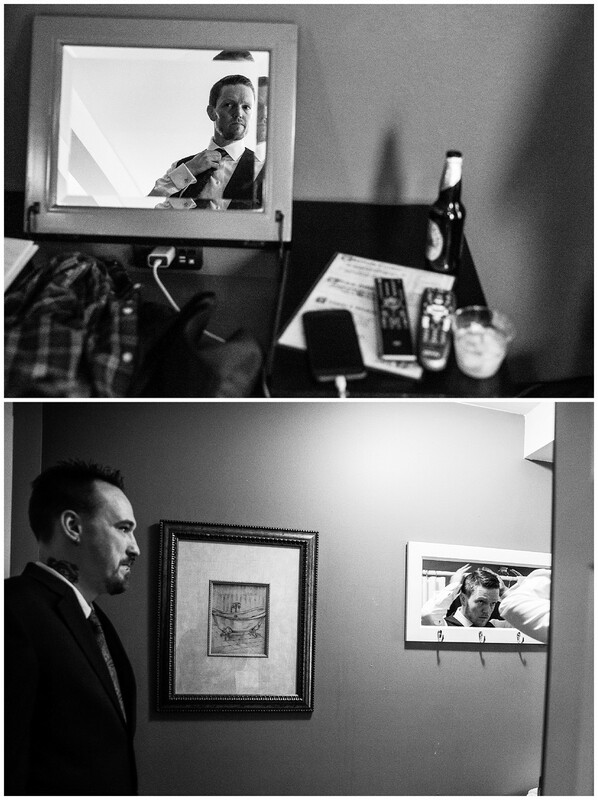 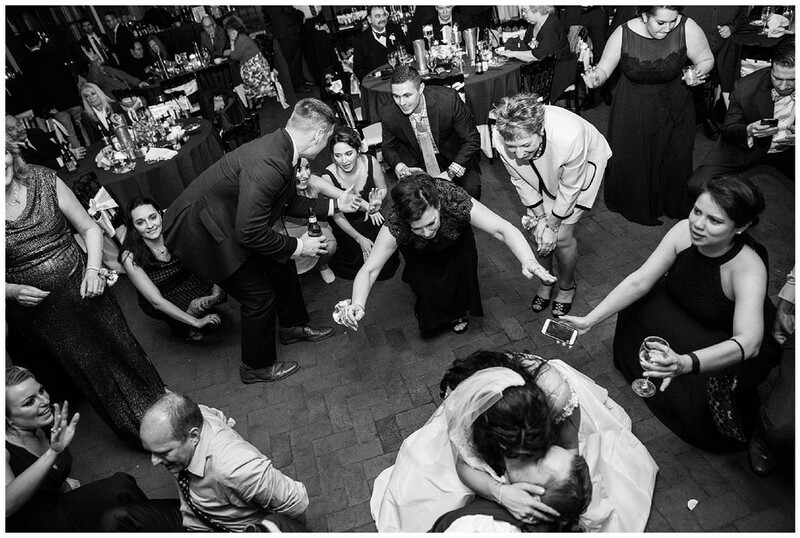 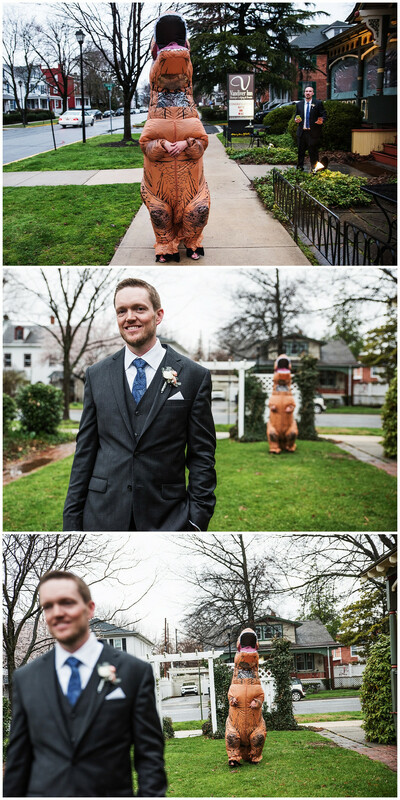 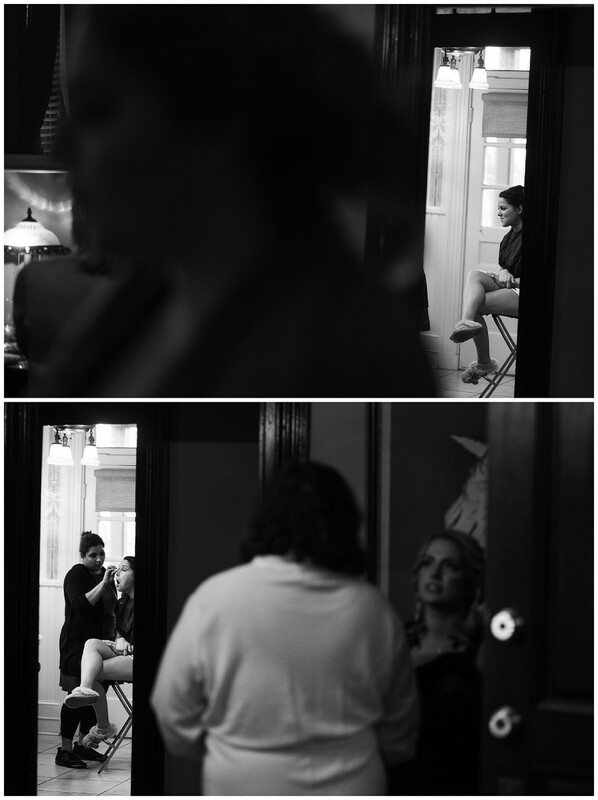 I have so many favorite moments from Katie & Mike's Wedding. 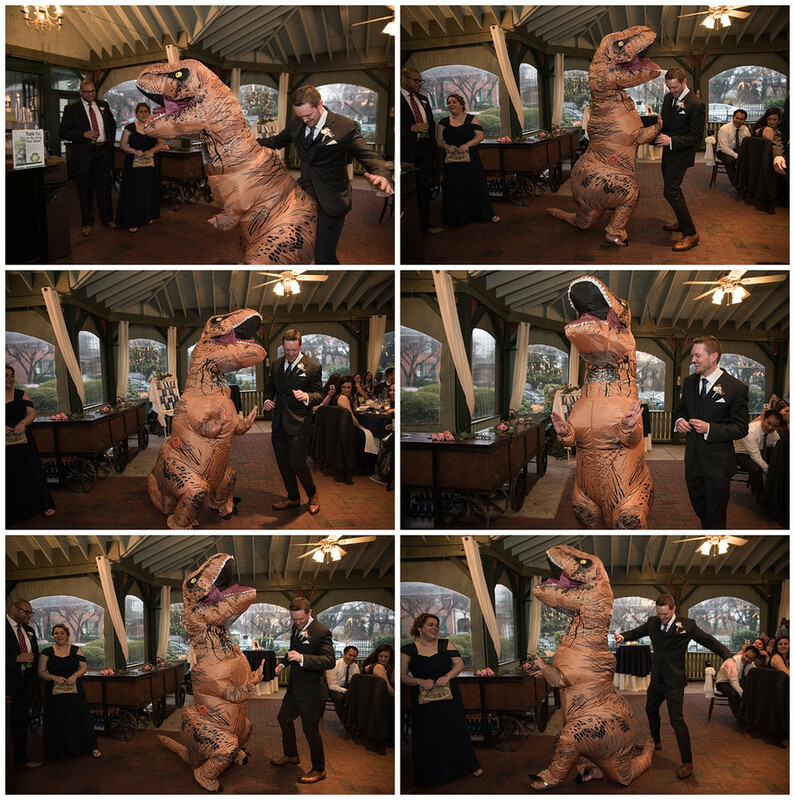 First a few weeks before their wedding Katie sent me a link to a video of a first look where a bride was dressed up in a t-rex costume. 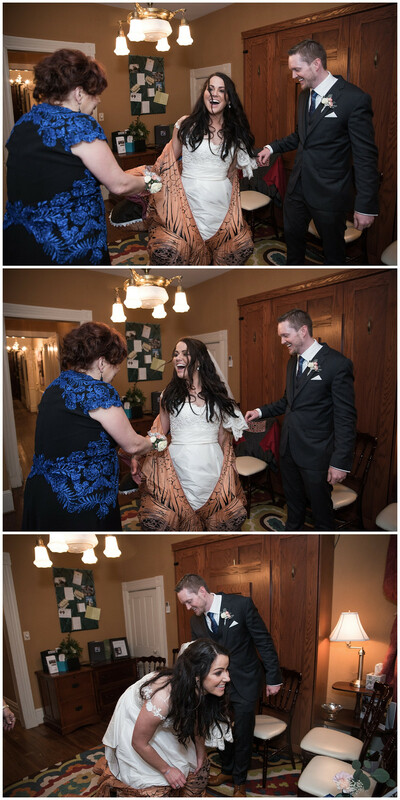 This totally fit her personality so we planned on how to make this work for their wedding day. 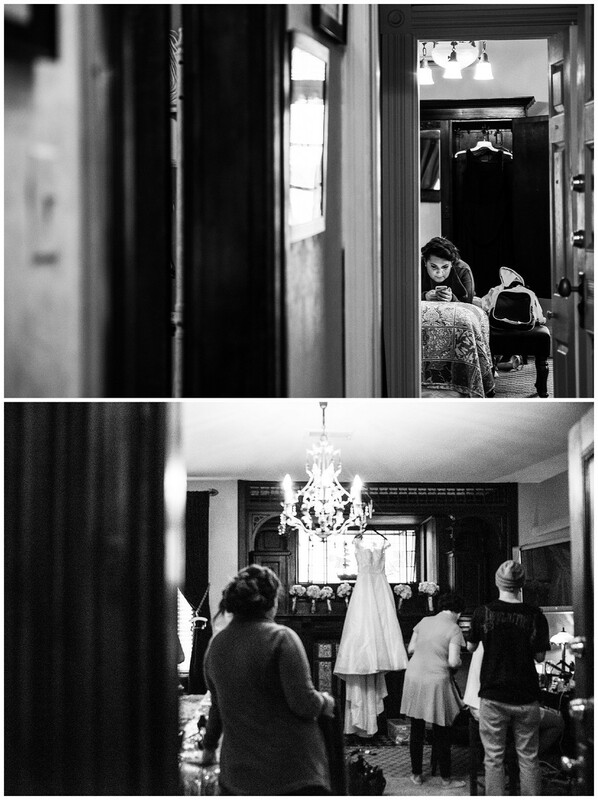 We decided on having a second look, where Katie would be coming out in a "reception dress" so Mike could see her for the first time. 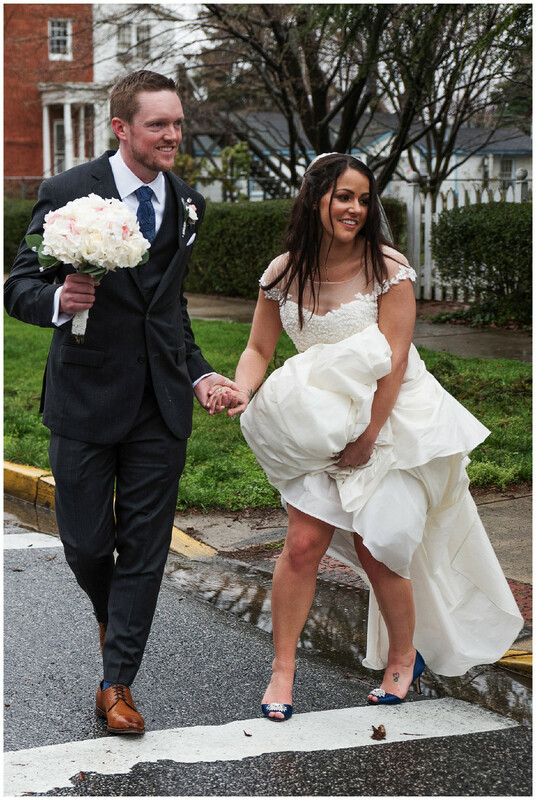 She bounced down the sidewalk and tapped Mike on the shoulder... To which he bent over laughing so hard! 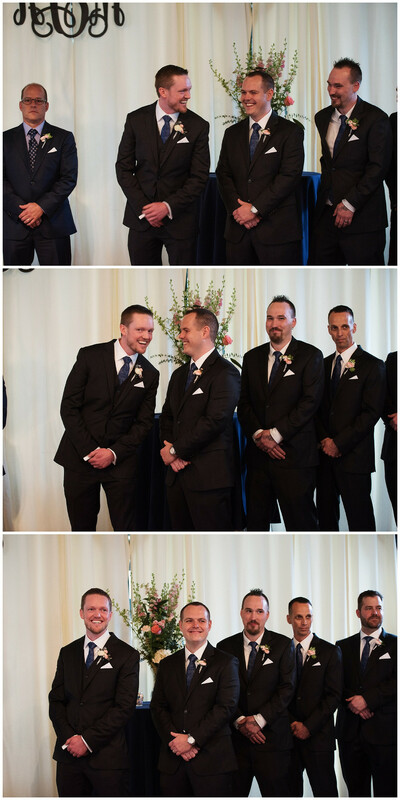 It was hilarious ! 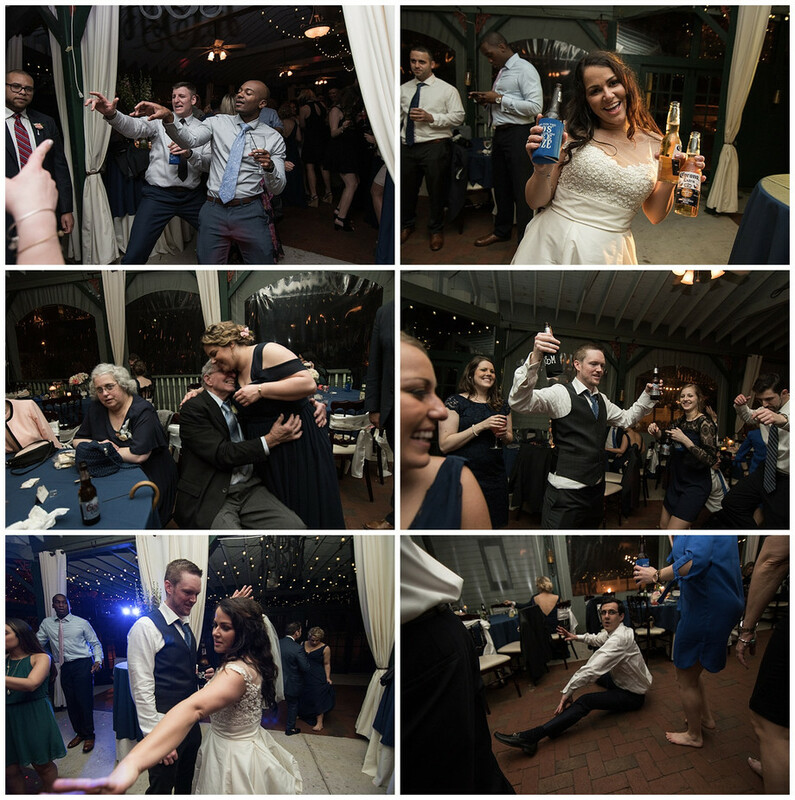 Only a handful of people knew what was going to happen so when she make her way onto the dance floor it was quite the show! 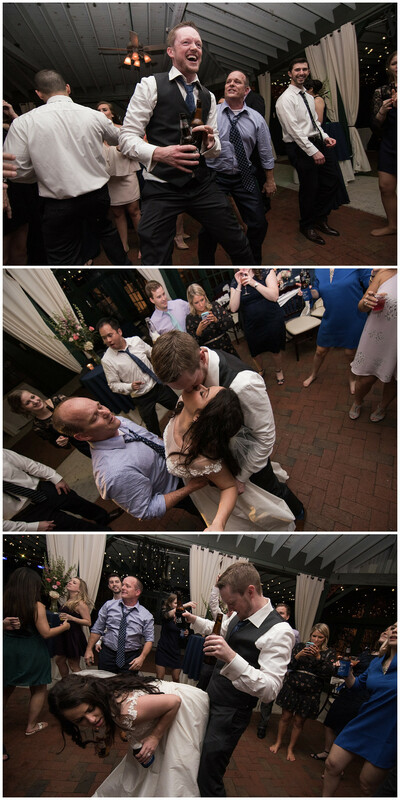 My absolute FAVORITE moment from their wedding was when Bohemian Rhapsody came on. 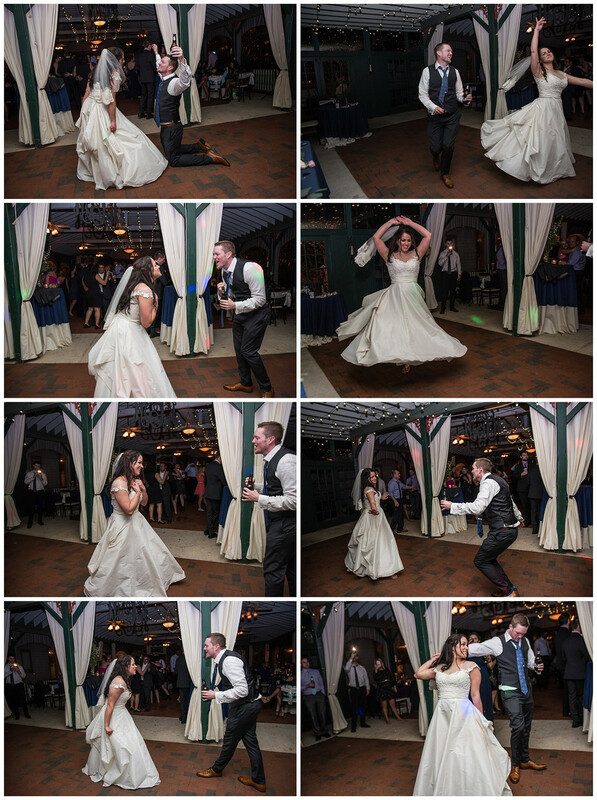 Katie & Mike went to the back of the dance floor and just put on a show. 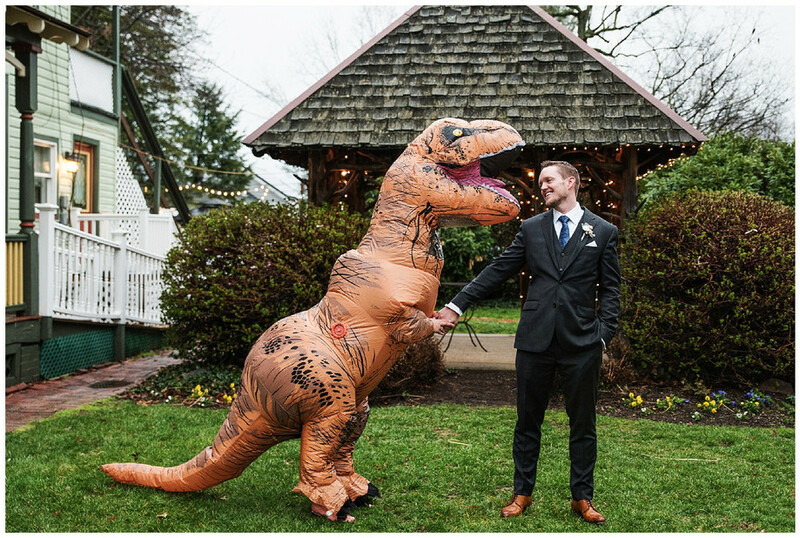 Just the two of them. 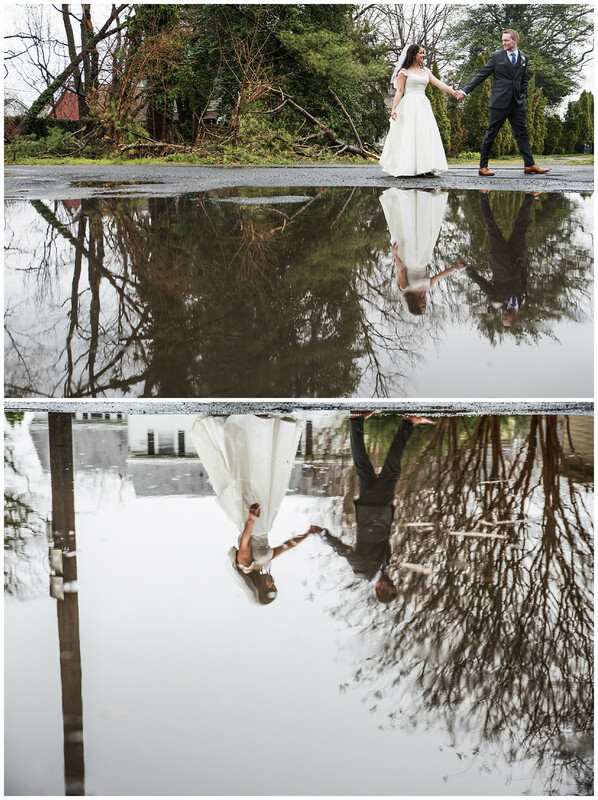 They didn't care about anyone else. 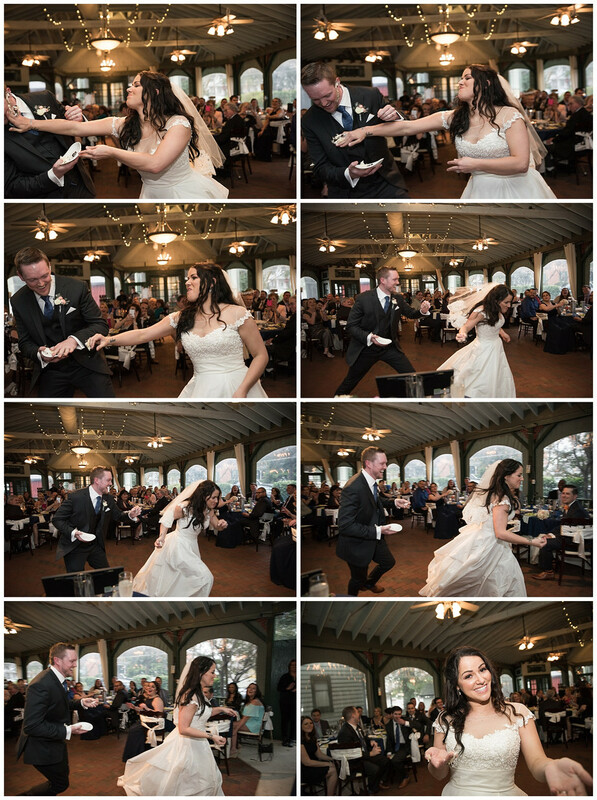 Apparently this is a dance they do in their home all the time. 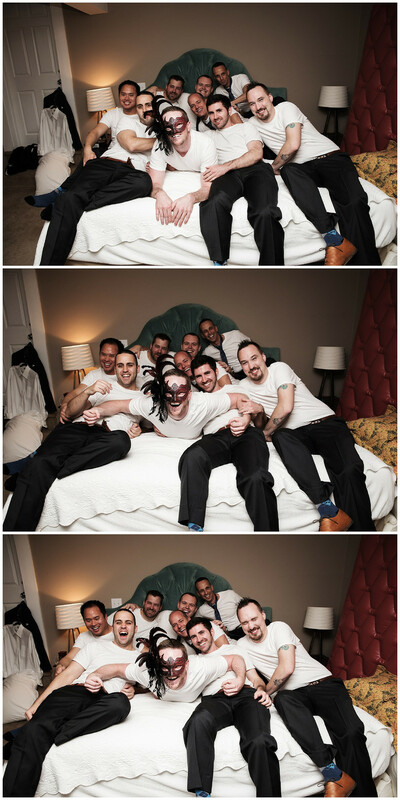 I loved it because it really reflected their crazy fun personalities! 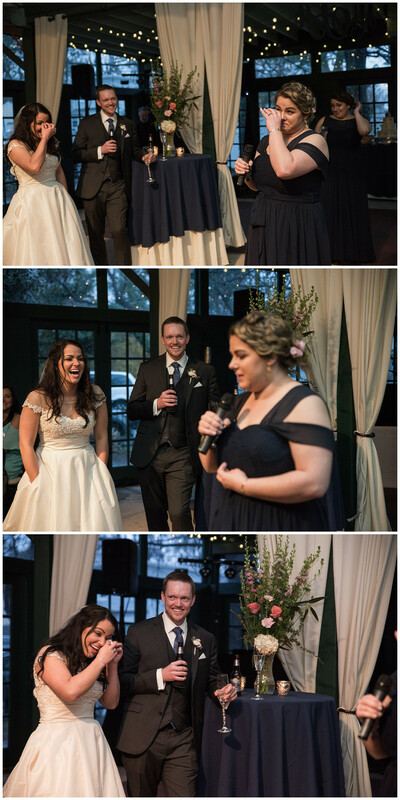 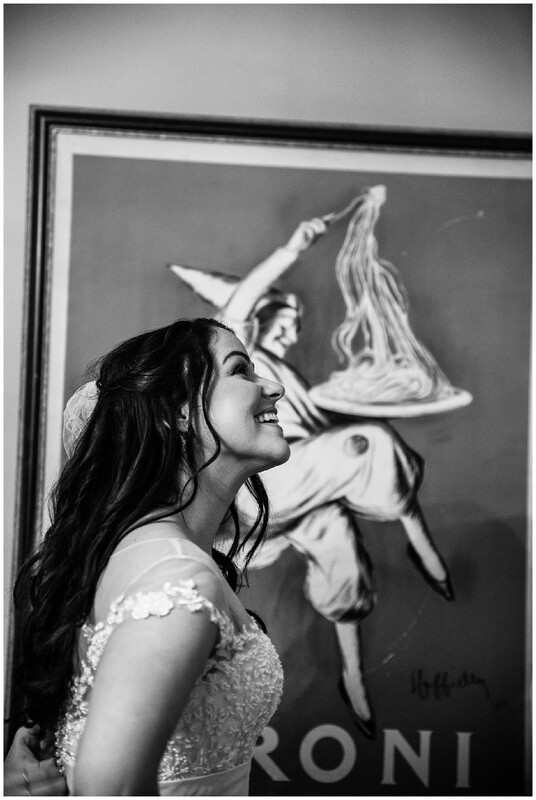 I could write all day about my favorite moments from their wedding... like the cake feeding chase... the downpour in the middle of the wedding party photos... Katie & twins dance at the end of the night... All their many goofy faces during the toasts... Oh, and of course pee breaks at the end of the night... 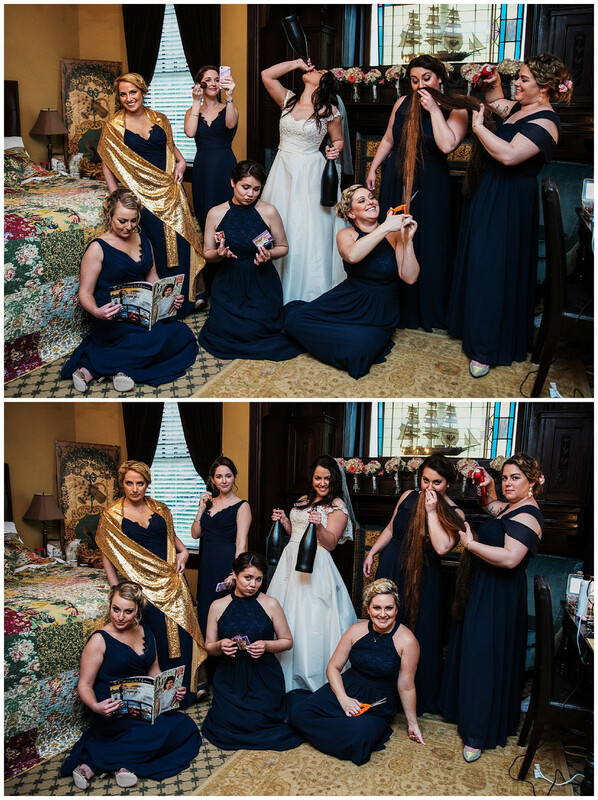 Bridesmaids style! 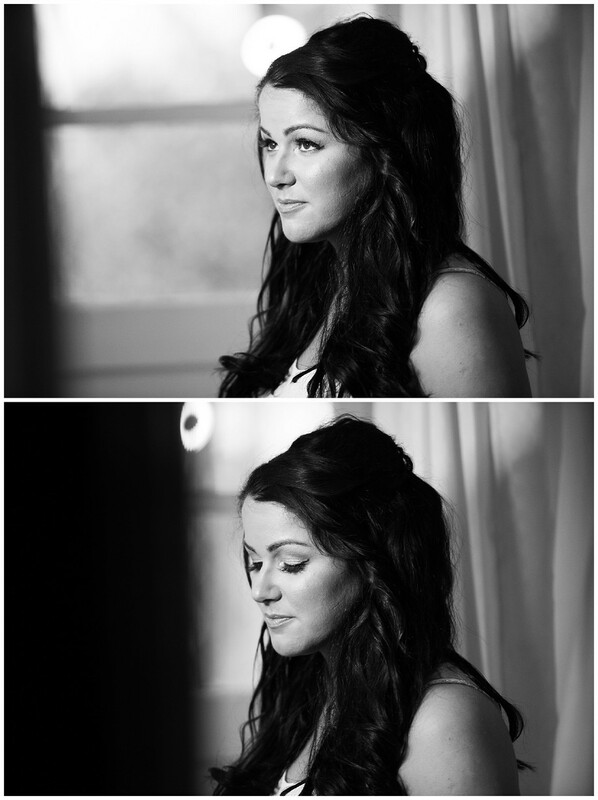 Oh and a quick shout out to Marie Frey. 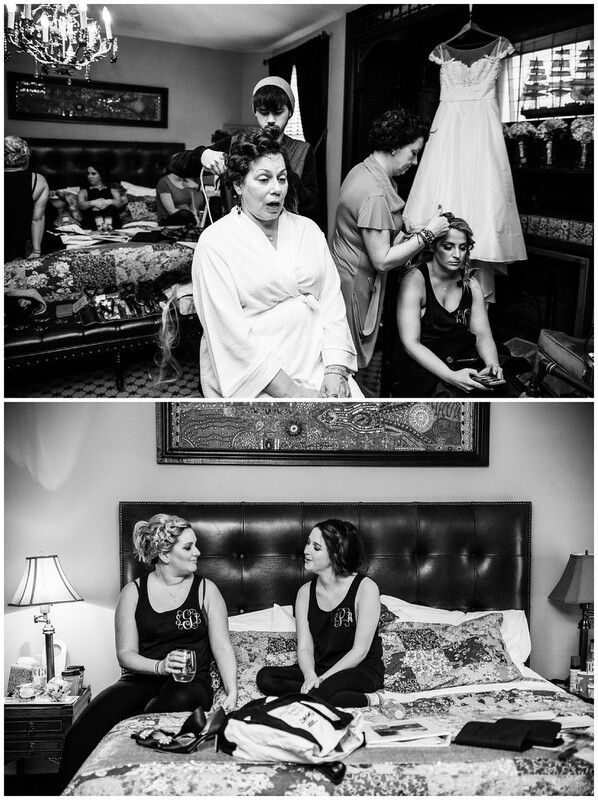 Katie's Aunt and Wedding Planner. 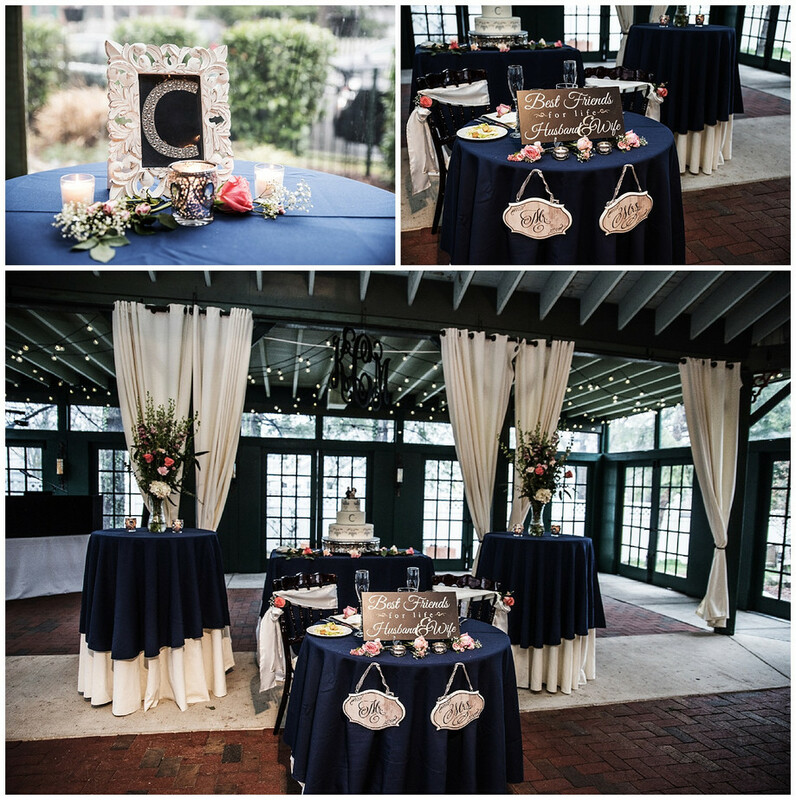 She truly transformed Vandiver's Space! 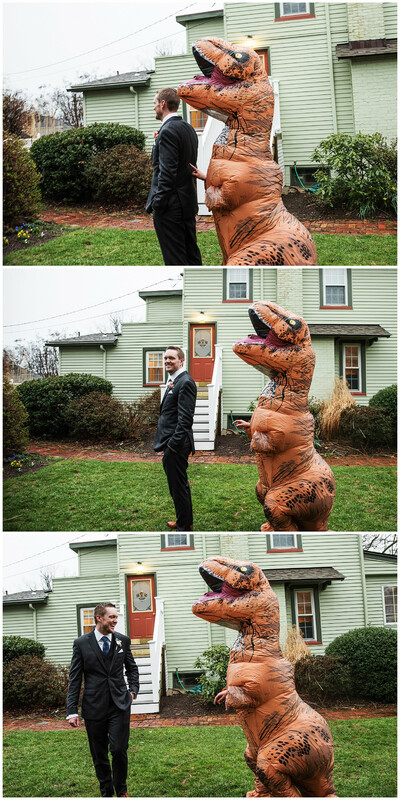 We met at the local Canton Safeway... in the international food aisle. 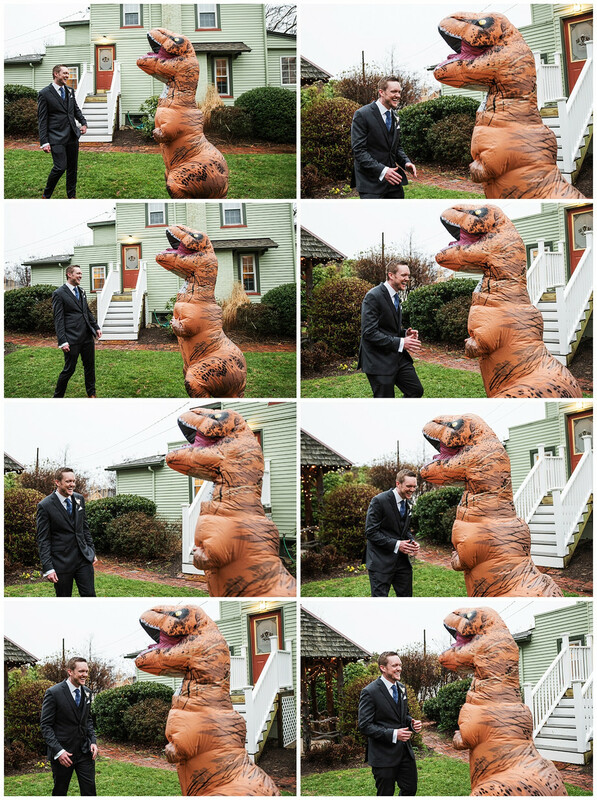 It has been a spicy relationship ever since. 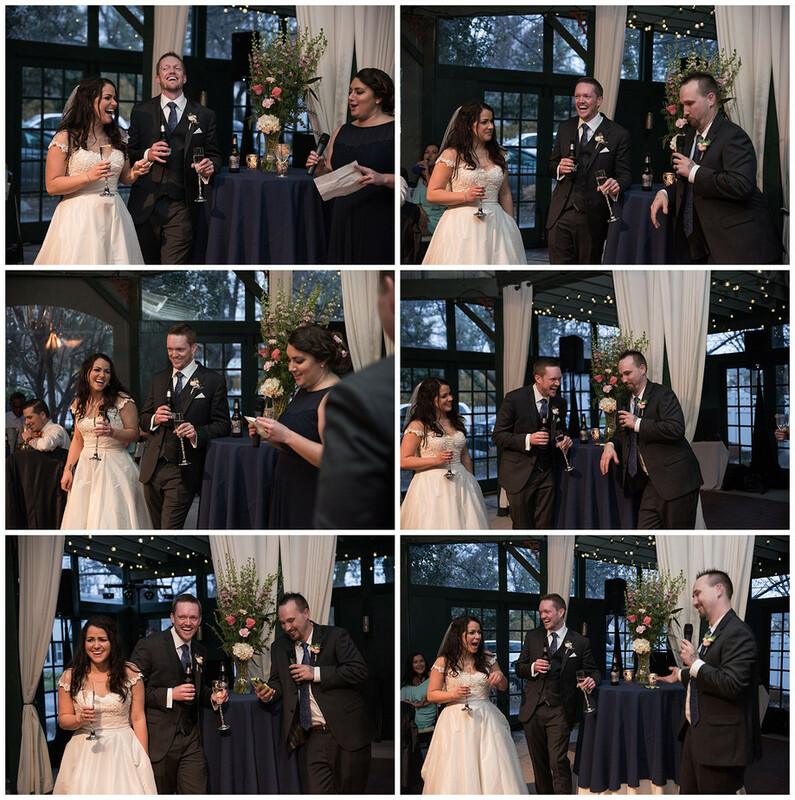 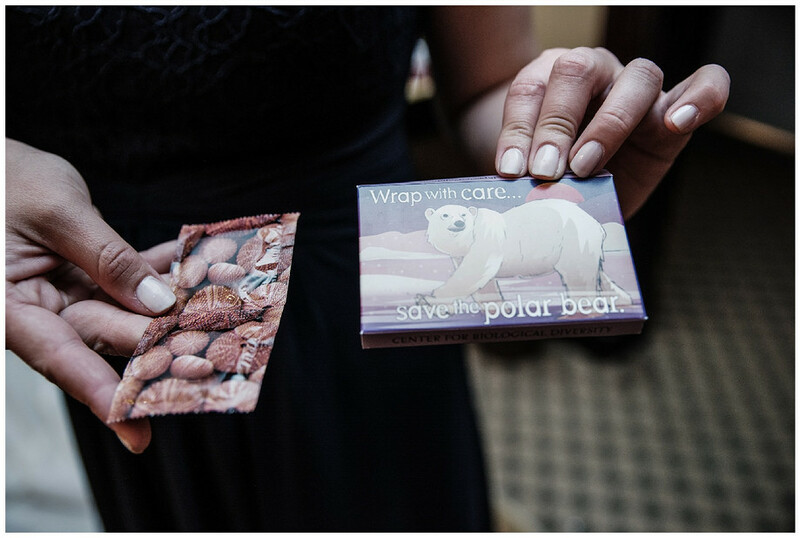 After three long years, Mike proposed to Katie during their annual Christmas party in front of their friends and family. 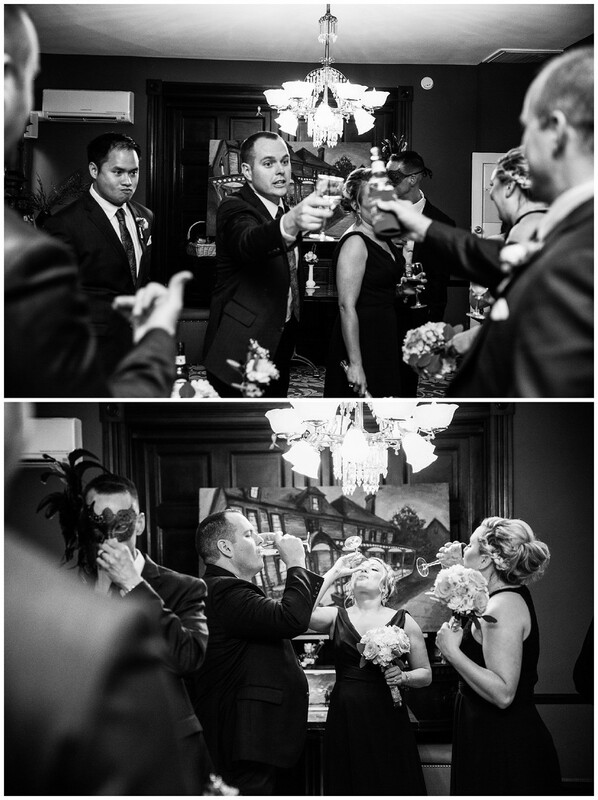 What Mike played off as a simple Christmas toast turned out to be him asking the love of his life to marry him. 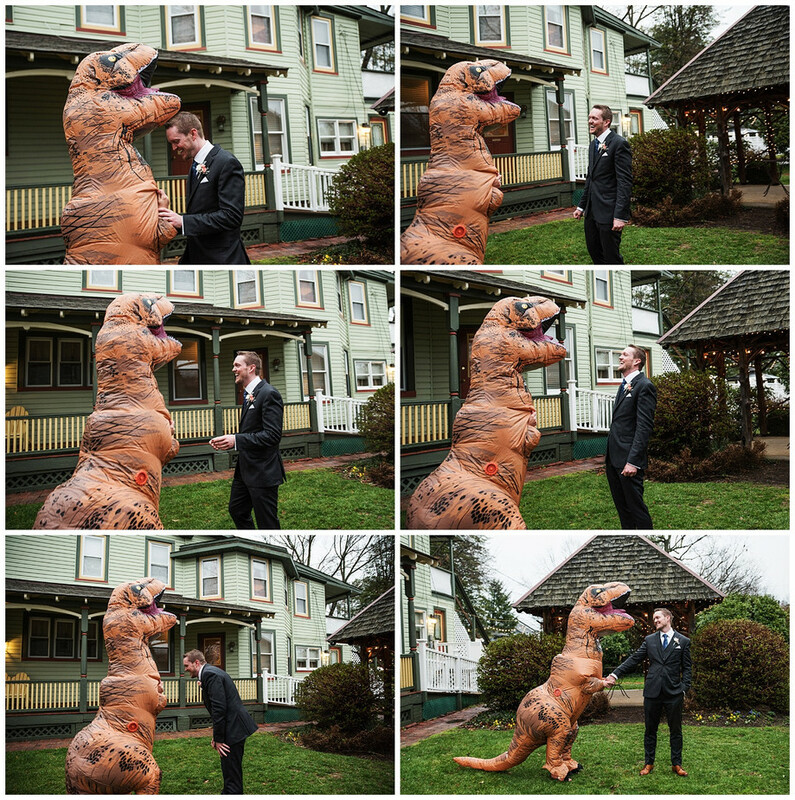 The T-Rex (second) first look. 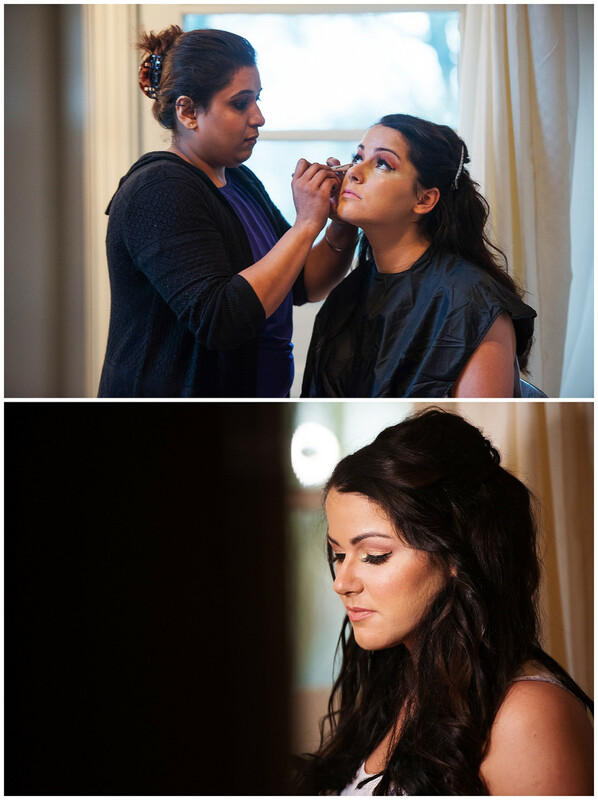 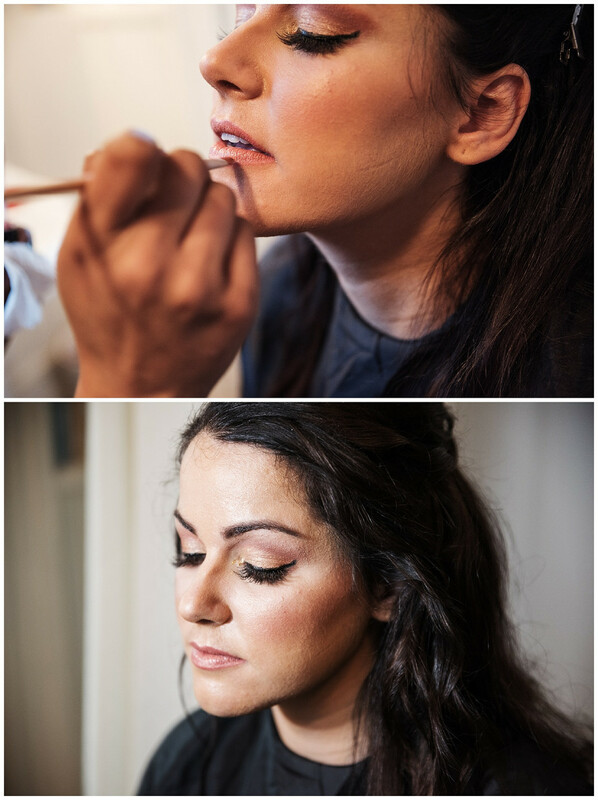 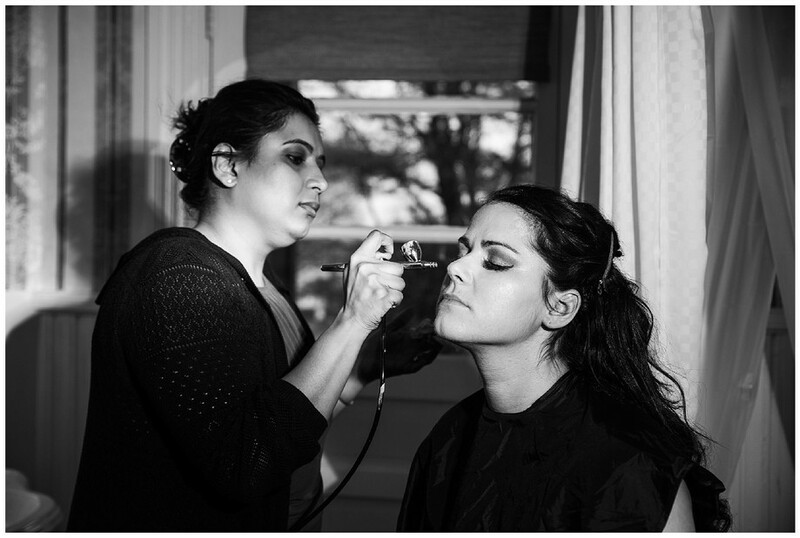 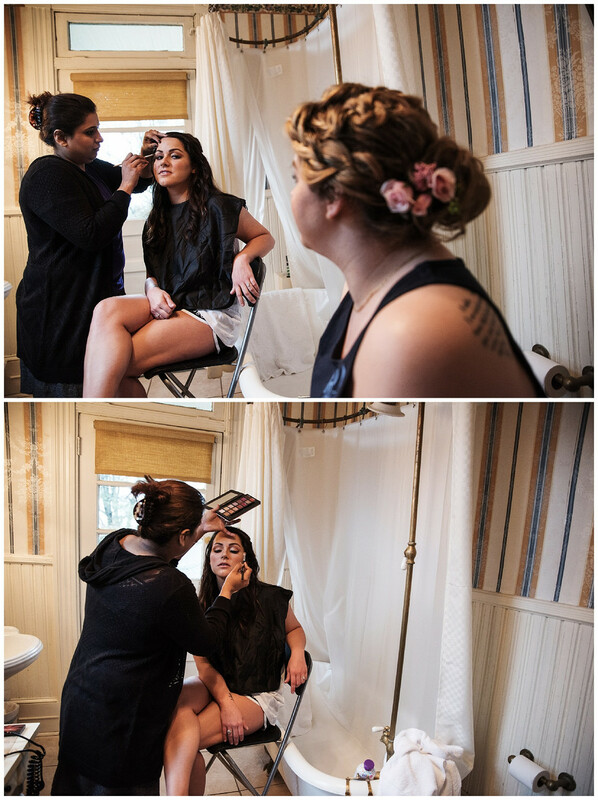 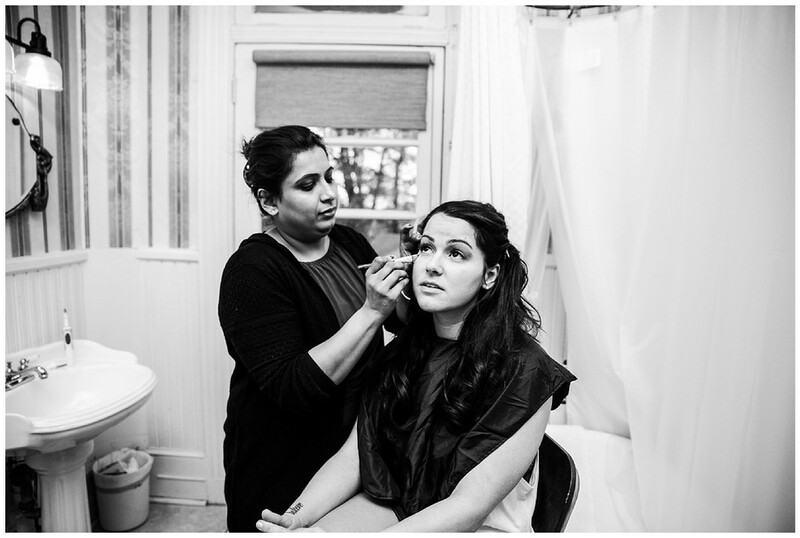 Hair & Make-up: Nikki Fiveash from Symmetry Salon in Rockville, MD for hair, Glam and Glow for Make-up. 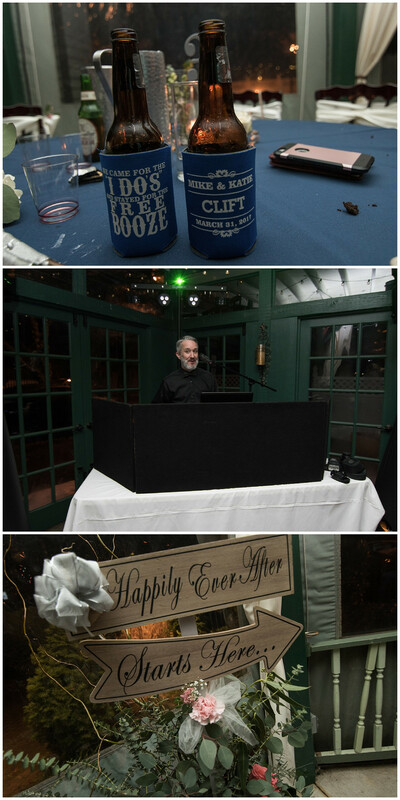 DJ: Frank from Friendly Entertainment, who was phenomenal!